The Social Side of Giving | Discussions about Social Media and Fundraising done well …and sometimes not. Want help using digital for fundraising? Email the author, Justin Ware, at justin@groundworkdigital.com. Nonprofit fundraisers have a love/hate relationship with crowdfunding. But let’s take a step back and look at crowdfunding as a component to a robust, multi-channel, end-of-calendar-year campaign. Create multiple crowdfunding pages that align with your end of year priorities. Crowdfunding projects are specific & targeted, but that doesn’t mean they can’t be unrestricted. Dig into what your unrestricted funds do. Say there are 3 main priorities of the fund – create a page for each one! Tell stories of how those priorities have impacted lives of those you serve. Then you get the specificity and transparency of crowdfunding, and an opportunity for your donors to show you the unique reasons they give and why they care. Once you’ve created those pages…how do you get donors there? We can rely on digital channels for the execution as well. Create a segmented email plan directing donors to crowdfunding pages. Donors prefer short emails. Email is no longer the place to tell your story, but a place to incite an action. So how do we convince the donor to give? Those crowdfunding pages you just created! This page set up give you the room to tell your story in an easy to consume, visual manner. With your unique stories broken out in different pages, you already have the content needed for email. Use the most compelling information in the email in order to inspire the click to the page to learn more. Then segment your donor list and send the individuals to just one of the pages you’ve created. Today’s fundraising will always be stronger with a peer-to-peer component. Although EOCY projects are more institutional, make sure you have real people champion this project. Consider using really active donors or volunteers. If you have the budget – use a social listening tool to find people who really care about your mission! The best ambassador is one who has supported you in the past and has strong online influence – via social media or good email contacts. Email from the ambassadors is a critical channel alongside your institutional email. Be active on social media! But don’t rely on organic reach. Your donors (and potential donors) are on social. Hopefully many of them follow you! But even those who follow you may not see all your posts, depending on their history of engagement with your page. Facebook ads will ensure more people see your posts. At a minimum, consider ads that go out to those who you are already emailing. The ads will act as a marketing reminder to those who have already received your email. If you’re looking to expand your networks, consider Custom Audiences. Crowdfunding is more than the reactive campaigns, the restricted campaigns, the campaigns that only bring in mom, dad, and grandma donors of the project teams; it is a structure of giving that provides the story behind the gift that today’s donors demand. We’re at a point where there are multiple digital channels for your fundraising office can leverage. For your EOY campaigns, make sure you’re taking full advantage of all of the digital channels at your fingertips! Interested in a targeted multi-digital-channel strategy for your EOCY or other upcoming campaigns? Click here and fill out our contact form to schedule a strategy session. Emails sent from online ambassadors perform 312 times better than the exact same email that is sent with the institution as the sender. Seriously, this 2015 Blackbaud study found ambassador-sent emails convert 25 percent of the time, while the same email sent from the institution converts .08 percent of the time. It almost makes you wonder if we should bother sending e-solicitations from anyone but online ambassadors? First things first, you need to identify and engage a strong group of online ambassadors. (Online ambassadors are your digitally-focused, social media-active volunteer advocates). Use technology to do this. The cost is almost always $10,000 or less (donor list size dependent) and the return is typically many factors of X above the investment. Our clients are finding Attentive.ly is an effective platform for this work. You also need an engagement plan for getting the ambassadors on board and energized. Donating a person’s birthday is quickly catching on as a hot trend in online fundraising. And Facebook is one of those platforms leading the charge. Just like with any fundraising walk or run, be sure you have good technology that allows each donor to easily create their own personal, donation-driving giving pages. And be sure you include major donors in this strategy. Finding online ambassadors with major gift potential can lead to campaigns like this one from Marquette: (click here for the story) This is a highly individualized approach to online ambassador fundraising and will be your most lucrative peer-to-peer campaigns when done right. Overlay social listening on your donor database to learn more about what drives you most capable donors online. Then build a cultivation and solicitation strategy with this new, digitally-acquired information at the forefront. For those major donor prospects whose online behavior profiles suggest a December campaign might be of extra significance to them, consider working with them to offer up a match or challenge that will lead to big gifts at every level to close out the year. The campaign went viral with many thousands of Twitter users jumping in on the action. Periodically, a group of ambassadors and Epic Change members would insert tweets with a link to their fundraising page to build a school in Tanzania. Within a few short days, the group raised more than $10,000, had enough to build the school, and laid the groundwork for the Epic Change organization. As this holiday season approaches, consider creating a hashtag to unite your followers in conversation. Or, “hijack” an existing hashtag related to your mission. Using the #GivingTuesday tag, is a widely-known example, although finding something more directly related to your cause, such as “#CleanEnergy,” “#EndGunViolence,” or “#AdoptaPet” can add thousands of new viewers to your message and donors to your database. Would you like to learn more about building online ambassador programs to boost fundraising? Send us your name and email below and we’ll get back to you shortly. Thanks! #GivingTuesday is a powerful swell of support for philanthropy across the world. With over 1.5 million gifts given last year, it’s clear donors are paying attention. Make sure your content helps your mission stand out on Giving Tuesday! Check out our video below for three tips for outstanding #GivingTuesday content, even with the smallest of budgets. Do you need help planning your biggest #GivingTuesday yet? …or launching your first? No one has planned and launched more online giving days that Groundwork Digital. Fill out your contact info below and we’ll get back to you with a free, 30-minute #GivingTuesday consultation. The for-profit world has been placing value in peer-to-peer influencers or “online ambassadors” for years. And the results show that trust in ambassadors is paying off for many companies. In fact, “trust” has a lot to do with why ambassadors are so effective in modern marketing and communications. What does that mean for donor acquisition? …and retention? The fact is, online ambassador communication works just as well – maybe better – in the nonprofit world. Perhaps even more staggering is this 2015 Blackbaud study that found 1 in 4 emails from online ambassadors led to a gift – a whopping 25 percent conversion rate. That’s compared to 1 in 1,250 emails from the organization that led to a gift – a paltry .08 percent conversion. Again, for those keeping score, that’s a 25 percent conversion rate for ambassador-sent email versus a .08 conversion rate for emails sent by the organization. Now here’s the catch – it’s not easy. Online ambassador programs are volunteer programs and they require careful and frequent management …but if you do it right, you have the potential to transform your development operation for the 21st century. And guess what? Groundwork Digital has built dozens of online ambassador programs. Click here to send us a message and set up a time to talk about how we can help revolutionize your development operation with peer-to-peer fundraising. READERS NOTE – This blog’s author, Justin Ware, has launched Groundwork Digital – a full service nonprofit fundraising consultancy with digital at the forefront. Check out Groundwork’s new blog by clicking here. Driven by those memes, along with video, social media engagement, targeted digital advertising, online ambassadors and more, content marketing has established itself as a mainstay tactic for organizations and companies from the for profit to nonprofit verticals. As it should – content marketing drives real results at a fraction of the cost: while content marketing costs 62% less than outbound marketing, it generates more than three times as many leads. Of course, like most things worth doing, effective content marketing requires time, resources, and talent. If you’re going to invest in content marketing, you should be sure you are dedicating those resources to a sophisticated, smart, and comprehensive content marketing strategy. This should be a plan that goes beyond simply creating and sharing good content. It should also include data-backed parameters for the types and formats of content you’re sharing; digital advertising to ensure your content finds its mark; hiring the right talent to continuously produce both proactive and reactive content; and timing your posts so they hit home at just the right time. With the mountains of available data about our constituents, this question is becoming less and less necessary. Every day, more than half your audience is actively engaging in content on Facebook alone. When they do that, they are displaying preferences for the themes of content that matter most to them. The same is true across almost countless other web properties. And many platforms, Facebook included, are tracking and organizing this information. As an organization, you have a few options – use technology that quantifies and organizes this data for you (a must for large institutions and organizations) or track and quantify the data on your own. However you’re gathering and tracking this user behavior around content, the end goal is the same – using that data to know what your audience wants and producing more of that content to attract their interest on a regular basis. If you are effectively monitoring your audience’s wants and desires related to content, “what should we post?” should never again be a question you need to ask. Your audience is telling you what to post through their behavior. Tap into that behavior, analyze it, and allow it dictate your content marketing strategy. Then watch as engagement metrics skyrocket. Similar is true of timing your posts. During the University of California Santa Barbara’s first giving day in April 2016, a day-of debate arose around exactly when an unexpected content opportunity should be siezed. It was a Friday and the thought was to post the content and distribute it as soon as possible. Afterall, by dinner time on Friday, the UCSB audience would be off line and on to weekend activities, correct? To confirm, we consulted UCSB’s Facebook page Insights. The data told us Friday evenings were actually highly active times online for UCSB’s fans and followers. The post was delayed until that evening. Not only did the post perform well, but some of the highest online fundraising activity during the 24-hour giving day event occurred during those Friday evening hours. Dump your assumptions and follow the data – that’s rule #1 for smart content marketing. Nonprofit organizations and higher education institutions are just beginning to understand the power of digital advertising. And it appears nothing is more powerful than Facebook advertising. Banner blindness and ad blocking software all diminish standard online advertising. Facebook Ads, however, are quite a bit different. With Facebook Ads (depending upon the campaign parameters) it’s a matter of finding receptive Facebook users for your content and using the Facebook Ads platform to ensure that content appears in the Newsfeeds of those users. And that natural, more subtle, highly personal, and targeted approach is one reason why Facebook Ads can drive 6x the clicks of all other forms of digital advertising. Who is your audience? The Facebook Ads platform allows you to create an audience of Facebook users based on demographics and interests or upload an email list of your donors. Both approaches have benefits and drawbacks while a combination of those tactics works well for many. The key is having an experienced Facebook Ads administrator running your campaign who knows how to build custom audiences that deliver your message to exactly the type of Facebook users you’re looking to attract (major donors with an affinity for your mission, for example). Produce great content. To do this, study what your audience is telling you. In other words, produce Facebook content based on the findings in your data-driven content marketing strategy (see above). Use online ambassadors. The more people like, share, or comment on a Facebook Ads promoted post, the more that post will be seen. (Facebook’s algorithm rewards engagement, even when you’re paying for a post to be seen) Deploying ambassadors to drive up a Facebook Ads post will further expand the impact of that post and increase the value of your ad spend. Content marketing is a full-time endeavor. It’s unlikely you can shift responsibilities and build a comprehensive content marketing strategy with existing staff. Especially if you’re starting from scratch. But here is the good news – given the return on a smart, comprehensive content marketing strategy, this is one investment you can feel confident in making. Whether you hire new, full-time staff or work with an outside vendor, great content marketing will boost all key metrics including acquisition, retention, and major donor engagement. The key, as with many efforts, is not short-changing this tactic through inadequate staffing. And as you consider staffing, don’t forget about your volunteers. Online ambassadors can do more than boost a giving day – applying ambassadors to your year ’round content marketing strategy can boost stewardship and retention across all channels. Ambassadors are a gateway to new, unknown segments of supporters, provide authenticity to your marketing efforts, and are proven to increase new donor acquisition. Work with them to realize the full potential of your content marketing strategy. What do you think? Are you doing everything you could be to acquire, retain, and engage your donors through a smart, comprehensive content marketing strategy? Email me at justin@groundworkdigital.com to find out. This is part 3 in a four-part series that details ScaleFunder’s four-stage online ambassador program building process process. Before continuing, be sure you’ve read part 1 by clicking here and part 2 by clicking here. OK – the hard part is over. You’ve found potential ambassadors, engaged them and solidified their support of your peer-to-peer program – now it’s time work with them for marketing and fundraising purposes. Budgets are tight, we understand, but as we explained in part 1 of this series, online ambassadors can bring about a significant return on investment. So, make a bigger investment for a bigger return, right? Moreover, your ambassadors are often important supporters, such as board members or celebrity alumni – it’s important you provide them with elegant tools that are enjoyable as opposed to maddenly frustrating when it comes to user experience. To that end, there are different platforms for different purposes and investing in at least one will greatly help your chances of success through online ambassadors. If broader marketing (not necessarily fundraising) is your top objective, consider platforms like SocialToaster and ReadyPulse. Those are just two examples of software services that engage your ambassadors and deploy them through easy-to-use content distribution mechanisms across most social media platforms. Each platform is different, but generally speaking, tools like SocialToaster and ReadyPulse allow you to directly send and/or receive content from online ambassadors to be shared with their communities of faithful followers. Ordinarily, these tools require the ambassador to authorize through at least one social media network, which allows your organization to interface with the ambassador’s accounts and profiles and share content directly via those ambassador accounts. It’s a great way to expand your message to new communities in an authentic-feeling way, because the posts appear to come directly from the ambassador, as opposed to an institutional account. If fundraising is your top concern, you will want a platform that tracks and quantifies this data. Surprisingly, such a feature set has been missing in the nonprofit space – that is until we at ScaleFunder launched our Giving Day module [link] earlier this month. Through the platform, we provide ambassadors with personal URLs that quantify the impact of an ambassador’s sharing activity by tracking the number of individual gifts and total dollars given through a specific share link. This is important, because it allows you to understand the true fundraising ROI of your ambassador program and make adjustments to enhance the program based on real fundraising returns. It might be tempting to get lazy with content, especially if you have online ambassadors who initially appear willing to share anything you send them. But resist this temptation. Spend time creating worthwhile videos, eye-caching graphics, and rich written content. Not only will your ambassadors more enthusiastically share this content, but their followers will more aggressively consume and act on good content. Track and learn from your ambassador data. Rewarding ambassadors – Gamification is a key driver of online activity and that behavior seems to be especially true among highly active ambassadors. Encourage your ambassadors to share frequently and sincerely by rewarding them for their sharing activity. More on this in Part 4 of this series. Adjusting content strategy – Which posts led to the most sharing? What tone and format of content brought in the most donors and/or dollars? Data driven content strategy is easy – do more of what works and less of what doesn’t. The key is having software that clearly tells you what messaging is effective and what isn’t. Adjusting your ambassador program to fit your most influential and effective online ambassadors – The most popular content might not necessarily be the best content. This is why it’s important to look at both marketing and fundraising metrics. In the end, most of us will ultimately be judged by the performance of our development program. So find your top performing ambassadors, determine what they want out of a program by reading the data surrounding their activity, and adjust the ambassador program based on the behavior or your top performing ambassadors. A lot has been revealed in recent years about the power of friends asking friends to support their favorite nonprofits online. In higher education in particular, we at ScaleFunder have experienced massive online giving success when this peer-to-peer or “online ambassador” activity has been deployed in support of digital efforts such as giving days. For example, did you know that according to a Bentz Whaley Flessner study, during online ambassador-led giving day efforts, 40 percent of the donors who gave were new? (New = either first time or long-lapsed donors to the institutions) Or how about the fact that for younger donors, a peer recommendation is one of the most important factors in making a gift? (Multiple studies) Or how, according to a 2013 Georgetown University/Waggener Edstrom study, the large majority of Internet users first learn of a new cause to support through their online friends’ activity? So yeah, peer-to-peer or online ambassador activity is important. Fortunately, we at ScaleFunder have developed a four-stage process for building a robust online ambassador program. This blog is the first of four that highlights each of the steps. Today’s topic — identification of potential ambassadors. Some of the easiest to engage early ambassadors are those who you can safely assume use digital media to engage about your cause or institution. In many cases, you might have had conversations with them about their digital support of your mission. This group should be instrumental in populating your first list of potential online ambassadors. The person who likes AND comments on every. Single. Post. You know who these social media users are, because you can’t not know. Their constant following and engaging with your social media is unavoidable and out there for everyone to see. And this is a good thing, because by observing their digital behavior you have identified some potential online ambassadors. Add them to the list. After you’ve engaged and onboarded the first group of ambassadors who you identified through assumption and observation, then work with this small, but growing group to expand the program. Online ambassadors often know others who would make good ambassadors. Ask them to recruit their connections to grow your program. Using the above tactics, any organization of any size should be able to develop a strong core unit about about 15 to 25 online ambassadors. That is more than enough to get started and the only investment is your staff’s time. Product update — ScaleFunder’s Giving Day module (Launching February 29, 2016 with Washington State University’s #CougsGive) includes an online ambassador toolset that tracks the real fundraising ROI of your ambassadors. For the first time, nonprofits now have access to a Giving Day platform that not only deploys ambassadors, but provides data on exactly how much each individual ambassador brings in during the event. To learn more, contact me, VP of Digital Fundraising Strategy, Justin Ware, at justin.ware@scalefunder.com. I love it when anecdotes plus statistics lead to predictions, which then become real life case studies and finally evidential proof. Major gift donors and prospects often give four- and five-figure gifts through ScaleFunder’s crowdfunding and giving day modules without being specifically solicited. Flash forward to the nearly 900 crowdfunding projects and online giving days ScaleFunder’s team has helped to launch and the refrain is similar in many cases – big gifts come from major donors and prospects, often unsolicited. This is not a mandate that every single gift officer opens and maintains Facebook, Twitter, and Instagram accounts for engaging donors. Instead, find those gift officers who are already active online as well as those who have an interest in increasing their digital footprint for fundraising. Build a training program for the willing gift officers that helps the novices get started and the pros polish their online appearance. The same goes for your institution’s leadership. For the right donor, having a president or chancellor comment on that donor’s Facebook photo of their granddaughter’s graduation could be monumentally effective at strengthening that donor’s affinity for the institution. 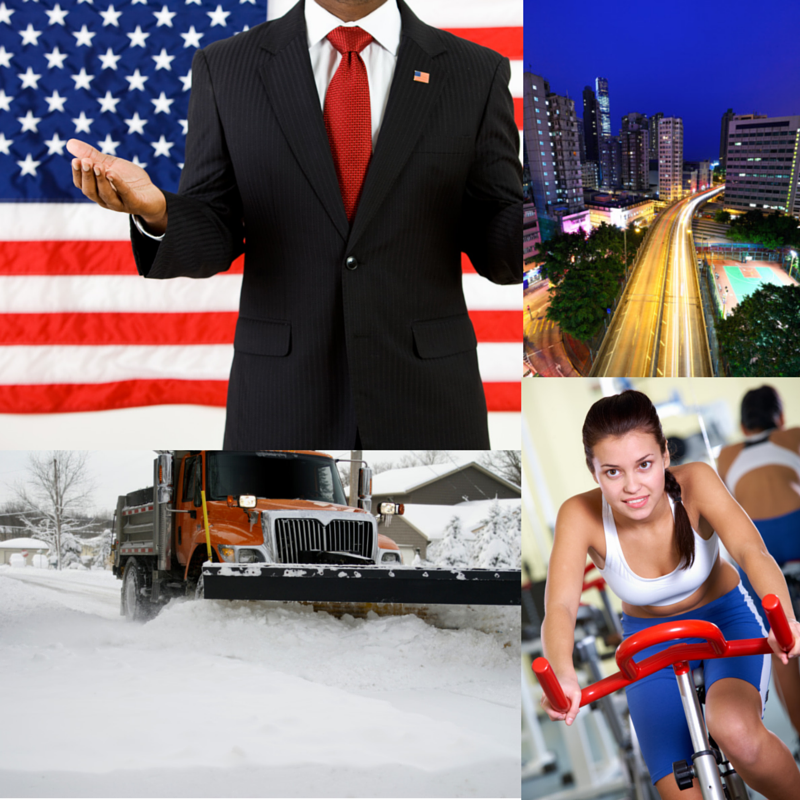 Again – provide training for your administration so those opportunities can be identified and leveraged. From offering innovative matching and challenge opportunities to branding a giving day theme in the name of a specific donor’s family, online giving campaigns can serve as virtual naming rights for your digitally active major donors and prospects. Whether it’s a giving day theme or a crowdfunding perk, think about how you might build your biggest donors into your online campaigns in visible and meaningful ways. We’ve seen major donors set up crowdfunding campaigns that have brought in $60,000 in a matter of days. More importantly, those major-donor-led crowdfunding campaigns have identified new major donor prospects through the networks of the major donor ambassadors who launched the campaigns. Which makes perfect sense – major donors often have major donor prospects in their networks (online and offline). Leveraging a major donor’s support as both a donor and recruiter can more than double their impact. Major donors are proving to us they want to be involved during online campaigns through their actions during those campaigns. On Wednesday January 20, RNL/ScaleFunder’s Vice President of Digital Fundraising Strategy, Justin Ware (that’s me), led a webinar with tips and tactics for building digital into your major gifts program. Click here for the recording, slides, and infographic of that webinar. Justin Ware is the Vice President for Digital Fundraising Strategy at ScaleFunder, where clients use the ScaleFunder Crowdfunding module to launch successful #GivingTuesday campaigns. 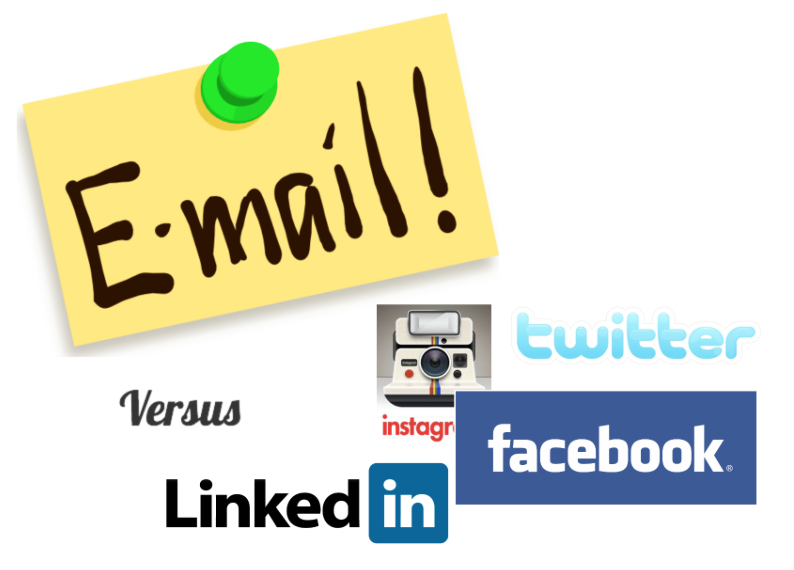 Email v. Social Media – which deserves more of your time and resources when trying to grow your donor base? When it comes to conversions, email brings in far more fundraising donors and dollars that social media. After all, social media is rarely used as a solicitation channel. Facebook’s “Donate” button has yet to gain significant traction, for example. But, social media is an incredible awareness tool and the only set of channels where a cause can quickly go viral. That’s probably why, according to this 2013 Georgetown/Waggener Edstrom study, the vast majority of those surveyed said social media is the #1 way they learn of a new cause to support. In fact, social media outpaced email by a rate of about 2 to 1 across all cohorts in the study. And really, this makes sense when you consider how a person typically interacts with email. It’s two things – either you respond to email, because you have to (for your job) or because you REALLY believe in something. Email is deliberate – the decision to support has already been made in many cases. And according to the aforementioned Georgetown study, it’s likely that decision-making process started as a result of something you viewed on social media. Get active on several major social media networks. The “must list” of social networks to be active on is somewhat fluid, but Facebook is mandatory. It has, by far, the most users and the most users in the key donor demos of Baby Boomers and Gen Xers. Plus, despite punditry to the contrary, Millennials are still very active on Facebook, too. You’ll also want to be active on LinkedIn for the prospecting value of the professionally focused social network if nothing else. 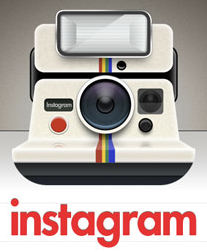 Instagram is imperative if you want younger donors and students involved. Did you know that 85 percent of all millionaires use social media, text messaging, AND smartphone apps? The more money you have, the more likely it is you’re online and using social media. Be sure you have multiple staff members in every area of focus who can contribute to content production and social media conversation management. Produce good content on a regular basis. This doesn’t have to be overly polished content. In fact, some of our crowdfunding data at ScaleFunder suggests a highly-produced piece can actually be detrimental to the success of a fund. (More research needs to be done, but still, interesting to note…) To be effective, content needs to be coherent and connect to the emotions of the audience. Or at a minimum, fulfill a need for the audience. Do that and do it often to provide your donors with a ever-open window into your organization that keeps your mission front and center in their minds, while at the same time, extending your mission to new audiences ready to support your cause. Justin Ware is the Vice President for Digital Fundraising Strategy with ScaleFunder. In early 2016, Justin will be helping to launch ScaleFunder’s Giving Day module and consulting services to pair with ScaleFunder’s already highly successful Crowdfunding module. From online giving days, to #GivingTuesday, to the launch of a crowdfunding program, a growing number of higher education institutions now have at least one marquee digital event every year. These buzz worthy online events stand in contrast to the day-in, day-out presence of those bright red “Give Now” or “Donate” buttons we all have (or all should have) on our school’s or organization’s homepage. For the large majority of the year, those “Give Now” buttons push Internet users to a static and often drab online form ready to take the credit card information of those who REALLY want to make an online gift during a mostly non-momentous point in time. The bottom line is, lots of people are online every day. Many of them have come to expect dynamic, real-time engagement with online platforms. And the passive fundraising tactic of planting a static a giving form at the backend of a “Give Now” button simply doesn’t match the dynamic, real-time expectation of donors. This is especially problematic as we approach the end of the calendar year. Many donors will seek out your online giving form as they make their late December gifts. Providing them with a compelling experience is crucial. Focus on real-time current events. What is happening in your alumni community, region, or the world that has the attention of potential donors? This could be a holiday, a big cultural event like #GivingTuesday, or something seemingly unrelated to the fundraising world such as the Oscars or the Super Bowl. Find creative ways to mesh your fundraising with timely real-world events. This then gives you an excuse to develop content for email and social media that subtly points to fundraising opportunities while distracting the donor with the pop culture theme of the day. Illustrate the impact of giving on a regular basis. In crowdfunding, this is easy. Each crowdfunding project clearly states the purpose of the dollars given to that project. But really, this shouldn’t be a tactic set aside solely for crowdfunding. Whether it’s for a specific research project or the general fund, there is always a story to be told that illustrates how donors’ dollars will be used. Produce these stories often and feature them on your online giving form to give it a frequently refreshed appearance. Online ambassadors are not just a giving day tactic. In fact, when you think about it, crowdfunding is essentially online-ambassador-led fundraising. Every crowdfunding project leader, to be successful, needs to be an online ambassador for their project. Just like with a crowdfunding project or fund, ambassadors can help drive donors to the funds on your standard online giving form. For your online giving page, be sure you have an ambassador or several ambassadors driving traffic to that page on a regular basis. Make it relevant to the ambassadors by featuring funds or giving opportunities that matter to them. Consider featuring the ambassadors’ alumni profiles on the giving page to give the process a more tangible, human element. To grab social media users, make your everyday online giving page a more social experience. Even without these tactics, online giving continues to grow at a double digit pace nearly every year. For a small number of forward-thinking nonprofits, online has grown so quickly email has supplanted direct mail as the top direct fundraiser. By applying a more dynamic, human, and timely approach to your day-to-day online giving, your organization could join that list. Justin Ware is the Vice President for Digital Fundraising Strategy at ScaleFunder. Read more about ScaleFunder’s crowdfunding client case studies at ScaleFunder’s blog by clicking here. We’ve written extensively on both online ambassadors and major gift work. We know, from our clients’ experiences, that the two go hand in hand. A growing mountain of data and studies tells us the same. Now we have more data that helps explain why peer-to-peer is even more important and effective in major gift work than we first assumed. For those who work in the for-profit world – particularly in retail – you’re probably familiar with the terms “higher-consideration purchases” and “lower-consideration purchases.” Even if you’re not familiar, the definitions are quite simple. “Higher-consideration” are those purchases where you give more consideration, because they are big purchases. Think of a new car, a home, a college or university choice …something that costs a lot and is fairly permanent and often live-affecting. “Lower-consideration” …think of a pack of gum or where you’re eating tonight. It’s not hard to draw the nonprofit parallels and align higher-consideration purchases with major gift work and lower-consideration purchase with the annual fund. So what does this all have to do with online ambassadors? According to the 2014 Word of Mouth Marketing Association’s study, Word of Mouth has a MUCH higher influence over a person’s higher-consideration decisions than it does for lower-consideration decisions. Which makes sense – do you often call your friends to ask which toothbrush you should buy? Unless you are the most uber of uber social media users, you probably make that call by your lonesome. On the flip side, when you’re in the market for a new set of wheels, you’ll likely have many conversations with friends, family, and co-workers before selecting your new vehicle. The 2014 Word of Mouth Marketing Association’s study shows us that the bigger the purchase decision, the more word of mouth (and online ambassadors) sways the decision. Something similar likely applies to fundraising. 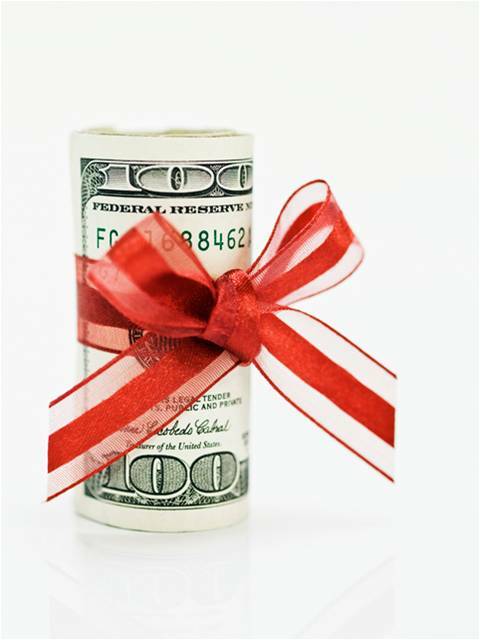 A $25 gift might be the result of a clever end-of-year email or well-run matching challenge. But the biggest gift a person makes in their lifetime will be the result of many factors. Not the least of which, information a person has gleaned from many years of conversations with their most trusted peers. And here’s the kicker, that same WOMMA 2014 study found that 1/3 of all word of mouth purchasing influence now takes place online. Yet another substantial study that, along with the growing heap of real world examples, shows us that a major gift program without a strong online dimension is probably grossly underperforming. Justin Ware is the Vice President for Digital Fundraising Strategy at ScaleFunder. This article was contributed by Funderful and originally appeared in the April edition of CASE Currents magazine. Click here to read more. Working adults crave fun. Four out of 10 adults worldwide deal with excessive pressure on the job, according to a global workforce study by Towers Watson. A recent work survey showed that more than 80 percent of Americans are stressed about at least one thing at work—from low pay and long commutes to overwhelming workloads and annoying co-workers. Put another way, we want to laugh more. Your alumni are also begging for something fun that will grab their attention. Let’s look at ways your university can dust the stuffiness off of its giving campaigns and attract the attention of long-lost alumni. When we took over alumni giving as volunteers for the alumni association at the Stockholm School of Economics in Riga in 2007, the participation rate was zero percent. Four years later, participation was at 11 percent, and we ambitiously decided to surpass the rate of the university that raised the most money that year—Stanford University, which received gifts from 34 percent of its alumni in 2011. Two years later, our Let’s Beat Stanford campaign came to fruition: Approximately every third alumnus donated, increasing participation by 318 percent. This multiyear campaign also allowed us to grant 60 scholarships and provide ongoing support to renovate an auditorium. How did we do it? By challenging egos, inventing mascots, tapping into nostalgia, and having fun. The annual participation rate is the best measure of the strength of an alumni network—and the only true metric, suggests Dave Celone, former head of the annual giving effort at Dartmouth’s Tuck School of Business. Alumni participation has steadily declined throughout the last decade, even as total amounts of fundraising have grown. We as an industry are good at contacting prospects but struggle when old tools no longer engage the masses—and when alumni adapt to new technologies faster than we do. More charities are also competing for the same donors than ever before. Traditional approaches seem to have reached their limits. 47 percent of people find it annoying to be solicited for gifts via phone, revealed a 2013 survey from the U.K.–based nfpSynergy, a research consultancy for nonprofits. It’s time to rethink your strategy. You may be hearing a lot about gamification as a flashy way to change people’s behavior. Yet if you’re not addressing the innate needs and desires that get people to participate and care about something, it doesn’t matter how much money you spend on social media campaigns, fancy websites, or exotic scavenger hunts and adventure mazes. Think about what drives people to spend. Everyone has to allocate money for necessities like housing, gasoline, insurance, and groceries. Beyond that, most money is spent on entertainment— dinners, movies, iPads, vacations. Fun makes people part with their earnings, not only when they want to but even when they know they shouldn’t. When you combine fun with great causes, you can give people the amusement they desire and are willing to pay for. But even more than fun, good appeals, regardless of medium, have to address the need for playing, being social, and receiving recognition for good deeds. Give your alumni a game, absolutely, but match that game with insights into your community, and you will have an approach that gives the best digital life to your campaign. If you want prospective donors to fall in love with your cause, these components are crucial. Instead of considering the needs of the institution, remind alumni what makes it special. The key to engaging more people is to appeal to a number of triggers: peer pressure (All your friends are donating! You should too! ); competition (Can your class be the most spirited? 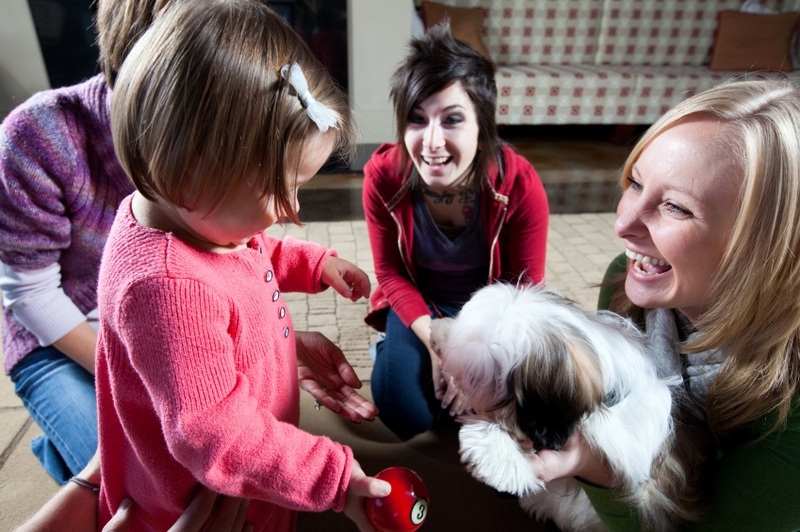 ); nostalgia (Remember how fun it was here? ); and pride (Look what your university has accomplished!). If you can integrate these elements into your messaging and appeals, you will persuade alumni to part with their time and money. Participation rates will soar. Go ahead, try it. We dare you. Easier said than done? Not necessarily, as long as you’re willing to invest in good content strategy and production. But for the sake of this post, how much should you invest for digital engagement of major gift donors? First, make sure you have a strategy in place. Typically that involves an outside firm (like BWF_social) and runs from about $15,000 to $50,000 depending on the work done. As part of that strategy, you’ll want to be sure your gift officers are properly trained on using digital media, you’ll need good content to share with your major donor community, and you’ll want to appropriately leverage the online communities of willing major donors. (In other words, you’ll want to build a major donor online ambassador program). Many organizations can do this within the aforementioned $15,000 to $50,000 while some of the larger more sophisticated nonprofits will want to invest six figures+ on a digital strategy for major donors. Of course, since it is for major gift work, it shouldn’t take long for your organization to enjoy a significant return on any smart investment in digital strategy. Major donors often make decisions about where to give based on what they see online. Should you use social media to engage your major gift prospects and donors? Absolutely! During Washington State University’s recent #CougsGive125 36-hour online campaign (WSU is a BWF_social client), 42 donors made gifts between $1,000 and $25,000. And with research showing that wealthy individuals are active on social media platforms like Facebook, it’s important to consider that audience in your online engagement strategies. Want to learn more? Connect with BWF_social’s Justin Ware by visiting BWFsocial.com. More than half of America uses social media regularly and Facebook is still the king when it comes to number of users. And while the share might shift between social networks and demographics, there is no indication that use and growth of social media is going to stop any time soon. For the full report from eMarketer and Adweek on who is using which networks, click here. We frequently see reports and studies telling us how many people, in which demographics, use social media. But how can we take these usage numbers and apply them to our digital strategy? Below are a set of tips, based on data from the above eMarketer strategy, for the three biggest social networks — Facebook, Twitter, and Instagram. Facebook is a behemoth of a social network with more than 1 billion people worldwide and more than half the U.S. population actively using the site. Facebook’s user base is getting older, but that’s more of an opportunity than a drawback for fundraisers. To understand why, think major gift work. 85 percent of all millionaires use social media, with 70 percent of that group on Facebook? Online acquired donors give more than mail acquired donors? Major donors LOVE digital campaigns? The third point is from our work with clients at BWF_social. In our two most recent giving day campaigns, 42 major donors gave online gifts of $1,000 or more during one giving day, while 26 gave gifts of $1,000 or more during the second effort. In both cases, the gifts were unsolicited beyond the mass marketing work that reached all donors, primarily through email and social media. 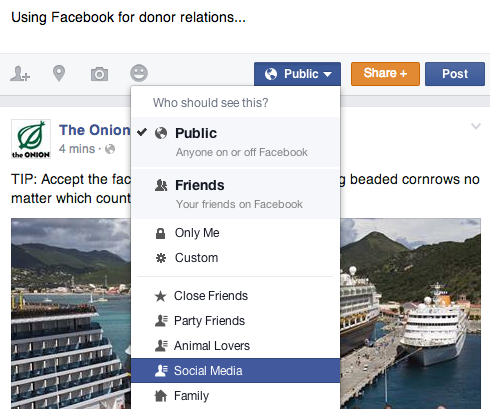 In short — your major gift donors are online and the majority of them are using Facebook. Considering the above mentioned data about major donors and this eMarketer data which shows a large and growing number of older Facebook users, your major gift officers should know the network and be leveraging it to better connect with their major gift donors and prospects. Your communications team should be producing content that reinforces giving at all levels, especially the major gift level. Finally, you should be looking to Facebook and all social media as a way of prospecting for new major gift donors. Twitter users are mostly a bunch of kids, right? Sure, nearly half of all Twitter users are under age 35, but more than a quarter are between age 35 and 54. And it might surprise many to learn that about 13 percent of Twitter users are over age 55. But really, when it comes to Twitter, age doesn’t matter as much as functionality. For most people, Twitter is a news source. So a good Twitter strategy should be built around sharing a good deal of relevant content. Both relevant to your organization and, most importantly, to your audience. An aging but still accurate HubSpot study from Dan Zarella tells us Twitter users with the most followers are those who often post links in their tweets. Another study from Zarella and HubSpot tells us posting a picture via your tweet helps engagement. In other words, don’t just tweet about your lunch — tweet about your lunch using a picture and including a link to the recipe. Instagram is the king of social media networks when it comes to audience engagement. On Instagram, it is (mostly) about the kids …and engagement. In fact, Instagram has, by far, the highest engagement of any major social media network. If you’re looking to connect with and market to people age 45 and under, Instagram is where it’s at. You can’t post links on Instagram, so don’t bother using it as a direct marketing resource. Instead, think of Instagram more like traditional advertising. Can someone give a gift directly through a TV ad? How about a print ad? No. But both television and print have value for raising the awareness and improving the perception of your organization. At a minimum, Instagram — and all social media, for that matter — is no different. Especially if we’re talking about engaging the younger audiences who heavily use Instagram and who really don’t watch TV or read much print. 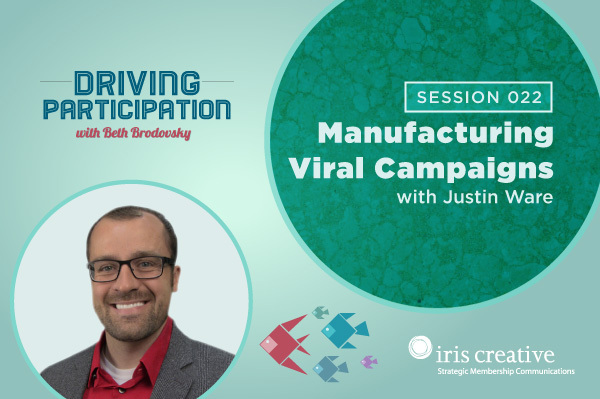 Justin Ware is the Director of Interactive Communication at Bentz Whaley Flessner where he helps clients build digital engagement strategies for every aspect of fundraising — from the annual fund to major gift work. Click here to learn more. Fair enough. It makes sense you wouldn’t want to jeopardize a months or years-long solicitation process for a 7-figure gift by asking someone to put up $50,000 for a matching campaign. Many of your major donors are online and they want to hear about online fundraising camaigns. But asking for a major donor’s participation in an online celebration of fundraising — which is what good giving days are — shouldn’t be in conflict with the major gift solicitation process. It should be part of the solicitation process. And it can be part of the solicitation process if your development operation has a truly comprehensive digital strategy that guides ALL the work you do (major gifts included). Just this week, BWF_social enjoyed watching a real world example of how big gift donors love great online fundraising. Washington State University (a BWF_social client) launched its #CougsGive125 event on March 26-27. The 36-hour event was an enormous success with more than $300,000 raised, entirely online. Part of that $300,000 came via approximately 30 gifts of $1,000+. These large, $1,000+ gifts were not directly solicited — they simply came in through the #CougsGive125 website. Fortunately, part of the WSU giving day strategy included a “large gift protocol” that involved connecting with the $1,000+ donors by alerting their assigned gift officers to the big online gifts (when applicable) so they could thank the donors and learn more about their gift. This reactive strategy to big donors who love online giving worked, as many of the donors reached were thrilled to have the immediate response. The number of donors giving big online gifts who graduated before 1960. At a minimum, let major donors know the giving day is coming up. Work with your gift officers and relationship reps so they clearly understand the goals of the giving day. Be sure gift officers are able to answer simple questions such as “how do I make an online gift?” Ask gift officers to share news of the day with their donors and prospects well in advance. Your major gift donors should be the first to know about and clearly understand the goals for the giving day. Mention challenge opportunities and ask if the donors would be interested in giving a large challenge gift. This shouldn’t interfere with other asks — it should help gift officers make an ask. Develop challenge opportunities that connect with the donor’s goals. Are you looking for a $1 million gift for a new performance arts building? Do you have a donor who wants to see that building become a reality? Let your donor know you’ll use their $1 million gift to acquire 100 new donors for the performance arts program. This approach should help you secure the gift, not jeopardize it. Develop a “large gift protocol” for big, unexpected gifts during the giving day. Perhaps the most important tip? Don’t wait for the giving day to involve your biggest donors online. Be sure your gift officers are online and social media savvy. This should now be a requirement for the role of gift officer. If they’re not up to speed, provide training. (It’s not hard, it just takes willingness) Build digital events into your major gift program and build a major gift program with a strong digital element. If you’re not using online to engage current and prospective major gift donors, you are leaving a significant number of donors out of your fundraising efforts. With the increasingly competitive major giving environment we now work in, that’s a risk you shouldn’t be willing to take. Justin Ware is the Director of Interactive Communication at BWF_social. To learn more about how he helps organizations produce digital fundraising plans that include major gift elements, click here. Facebook’s ever changing algorithm now means that, unless you have a paid ad strategy driving content, the vast majority of your followers will never see the posts you share from your organization’s Facebook page(s). The “Death of Organic Reach,” as some call it, is detailed in this post from SocialToaster’s Brian Razzaque. In the post, Razzaque highlights just how low your Facebook reach can go, while also offering some tips on how to combat the decline in eyeballs on your posts. So is Facebook worth the effort if you’re not laying down enormous ad buys every month? Yes, but it depends on your strategy. First, there are the basics of good content marketing – be valuable to your audience, not overly promotional, and connect with current events and other issues the Internet is talking about at the point in time when you’re publishing. That approach still helps, but truth be told, good content isn’t enough for Facebook anymore. Just take a look at your page’s posts over the past two years. On average, Bentz Whaley Flessner’s page sees roughly 10 percent the organic reach of content shared just one year ago. But there is one other option if you still want to avoid Facebook Ads — and it will help drive reach and engagement on all your digital and social media channels, not just on Facebook alone. When people like, comment on, and/or share your posts, Facebook rewards those posts with a higher ranking value on your followers’ Newsfeeds. In other words, more of your fans will see the content you post when you post it if some of your fans are sharing that content. Which means, online ambassadors are the option B for anyone who wants to avoid Ad spends. As effective as ambassadors can be at driving content, laying ads on top of the content ambassadors share does significantly increase reach and engagement. 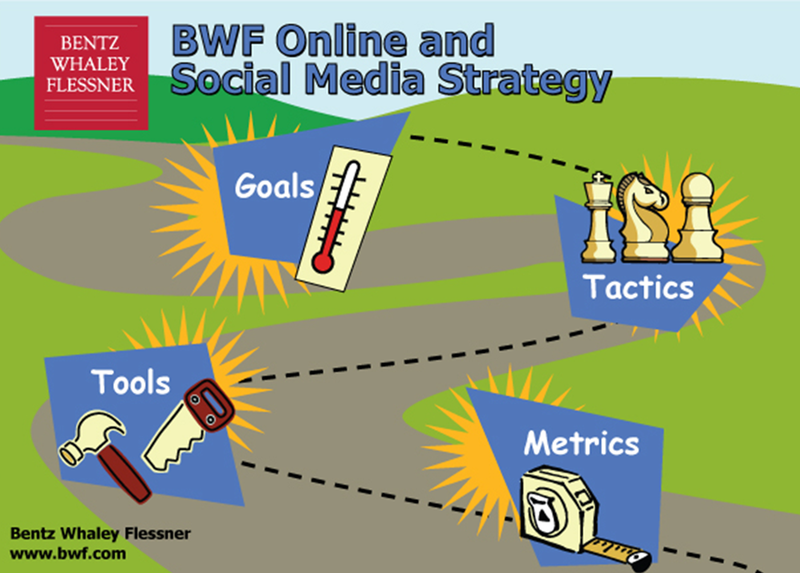 BWF_social client Santa Clara University began social media marketing with ambassadors in late 2012. They quickly discovered ambassador-led Facebook posts typically brought in about three times the engagement as those posts in which ambassadors were not leveraged. However, when Facebook Ads + ambassadors were deployed to share content, the reach was often as much as 40 times higher than average and engagement was 10 times higher than average. Staggering numbers that might be even more severe in 2015 as they were in 2014 when those numbers were recorded. So yes, Facebook is still valuable. There are simply too many active users on the network to ignore Facebook if you’re truly interested in a multi-channel communication strategy (and you should be). To make your investment in Facebook and Facebook Ads worthwhile, be sure you have a healthy group of online ambassadors ready to help your content reach the masses like it did in 2012. Justin Ware is the director of interactive communication at BWF_social where he helps nonprofit clients produce online and social media communication and fundraising strategies. We’ve seen it happen — a great deal of communication planning, online ambassador work, and major donor involvement takes place, but the organization’s online giving day is a struggle due to not having an solid platform in place to host the giving day and manage gift transactions. We can’t say it enough — without solid tech, you’re sunk. It doesn’t matter how well you do all the other things (of course, the other things matter, too). Simply put, if donors can’t access or navigate the online giving process, they won’t give. Challenges drive online giving days. The ability to structure a challenge around a certain number of gifts, donors, or dollars given creates excitement and gamifies a campaign. The “we just need 27 more gifts this hour and we’ll receive an additional $25,000!” messaging line is a tried and true trick that is familiar to any of us who listen to public radio. And it works wonders for online giving days, as well. Of course, if your online giving site doesn’t provide for real-time updating – in other words, doesn’t accurately reflect the number of donors and dollars given up to the minute – the donor activity tracking that is required for this type of challenge isn’t possible. If your giving day microsite or homepage doesn’t accurately reflect the acitivity around challenges in a dynamic, real-time way, how are your donors supposed to follow the “game?” And if they can’t follow it, they won’t be enticed to give. In addition to a dynamic challenge environment, real time updating also allows for real-time stewardship. The record breaking Columbia University giving day team monitored real time giving activity for two things – big gifts and big donors making big gifts. This allowed Columbia to connect the donors with gift officers who could provide real-time thank yous to these most important donors. Finally, real-time updating allows you to know when there’s a lull in giving activity, so you can insert a new Facebook post, email, or challenge to reignite the giving activity. You’ve probably read some of the absurd statistics that show how important images are in catching someone’s attention. Some studies suggest the human brain processes images 60,000 times faster than text. If that’s even remotely accurate, you should consider an online giving page that is almost entirely image-driven with the bare minimum in text. And don’t forget, according to a recent Google study, 57 percent of those who watch a video from a nonprofit will eventually make a gift to that nonprofit. Images and videos should always take priority over text on your giving pages and microsites. The University of Sydney’s “Pave the Way” campaign was successful in part due to it’s image and video-drive landing page. This is probably the toughest obstacle for many organizations. Truth be told, you’re almost always going to have to burden your gift processing team with a little extra work after a successful online giving event. Most of the leading platforms don’t come with their own databases or with turnkey data uploading processes for leading databases (Blackbaud’s Raiser’s Edge, for example). So, you need to be sure whichever platform you choose is able to cooperate with your database in the best way possible and has staff who are willing to work with your gift processing team to make their lives a little easier. Again, there’s a lot that goes into a successful giving day. Before you land on a theme for the day, hash out a communication plan, or start talking with major gift donors about the effort, get your technological house in order to ensure your giving day is built on a solid foundation. Have other questions about your upcoming giving day? BWF_social has planned more than a dozen six- and seven-figure online giving events. To learn more about our services, contact BWF_social’s Justin Ware. There’s this recent Ad Age piece that says users are posting 75 percent more videos to Facebook than they were one year ago. More importantly for those of us who make our livings working in communications is this Guardian piece that, among other things, highlights an Axonn Research study that tells us seven in 10 people view brands in a more positive light after watching a video produced by those brands. And finally this post by Recode that lays out the magnitude of the whole thing – Facebook users watch about 3 BILLION videos on Facebook everyday. Among other amazing video stats, a recent Google study tells us 57 percent of those who view a nonprofit’s video will go on to make a gift to that nonprofit. Simply put, an investment in producing your own video might be the most important decision you make this year. And the good news is, with amazingly high quality video cameras built into everyday items like the phones in our pockets, that investment doesn’t have to break the bank. Social media managers should do more than sit in front of a social network dashboard all day. They should be involved in strategic planning, help train staff and volunteers on using social media to advocate for your cause, and they should be content producers. And because video is quickly emerging as the top form of content, they should be video content producers. In higher ed, this is a no brainer. There are students on your campus who know how to do video and will do it at a small cost or no cost at all if they can add it to their nascent resumes. Find them and work with them. For other organizations, the volunteers might be difficult to find, but they are out there. Do you know any board members who love talking about their beautifully produced videos of a weekend at the family lake cabin? How about a video blogger who often links to your organization’s website? …or a local video production company employee who also happens to be a repeat donor? There are video producers out there in your supporter base. Find them and work with them. Again, thanks to inventions like the iPhone, most of us are carrying high quality cameras with us everywhere we go. So put those cameras to use! There’s a good chance a small handful of your staff would welcome the opportunity to receive (free) video production training. Thankfully (SHAMELESS PLUG AHEAD) organizations like BWF_social provide our clients with video training workshops and services. Regardless of the approach you take, find your willing staff and provide them with the training they need to become video evangelists for your cause. Justin Ware is a Emmy-winning and Webby-nominated video producer who helps BWF_social‘s clients produce transformational online and social media (and video) strategies. Millions of videos generated a buzz storm of awareness for the ALS Association in 2014 during the Ice Bucket Challenge. The “Ice Bucket Challenge” led to a $115 million infusion of fundraising support for the ALS Association in late summer 2014. And those robust fundraising numbers are only part of the story. According to the a recent Chronicle of Philanthropy article, end-of-year fundraising for the ALS Association is up three fold over the numbers from the year prior. In December 2013, the ALS Association processed 9,618 gifts for $1.6 million. In December 2014, those numbers jumped to approximately 44,000 gifts for $4.8 million. Volunteer and event fundraising was also up in a big way. According to the same article, revenue from the charity’s fundraising walks brought in $32 million in 2014, up from $22 million in 2013. Email, social media posts, content on your website, location based activity during live events – all of this activity should be purposeful. When a strategy is produced and implemented, when everyone knows why you’re doing social media, it leads to significant boosts in several measurable categories. Dollars raised and donor acquisition are just the tip of the iceberg when a strong and coherent digital strategy is guiding the effort. It’s not just about leveraging your biggest online supporters as volunteer fundraisers – online ambassador programs are at their best when helping to communicate your organization’s message throughout the year. Stories of impact, thank you messages, information about new programs and initiatives – just like a fundraising ask, all of this content reaches a larger audience and is more effective when it is being distributed virally by online ambassadors. Remember, the Ice Bucket Challenge happened because of an unofficial online ambassador’s concept for supporting ALS research. Your website is your organization’s most visible (digital) facade … Your online giving form’s ease of use (or lack there of) is often the first impression your organization makes on new donors … Your digital content captures the interest of the world and tells your story to new audiences … Good online infrastructure and technology is not cheap, but can pay for itself quickly. Investment in this area is often something a major gift donor would gladly support (because the companies they own are already having success with digital). Donors expect functional, attractive online properties – don’t disappoint them. Do the above three things. Do them now and do them well. If you’re not sure where to start, find a partner with experience (there are a growing number of us out there) and make 2015 the year you transformed your organization’s digital presence and positioned it for success in the decades ahead. Justin Ware is the Director of Interactive Communication at BWF_social, where he helps clients implement digital strategies that lead to successful online fundraising. The key to attracting viewers to your content is, well, mostly just producing good content. But that doesn’t mean there aren’t a few tricks to help drive eyeballs to your blog posts, videos, and photo galleries. And one of those tricks is all about ingenious headline writing. But you don’t have to take my word for it. 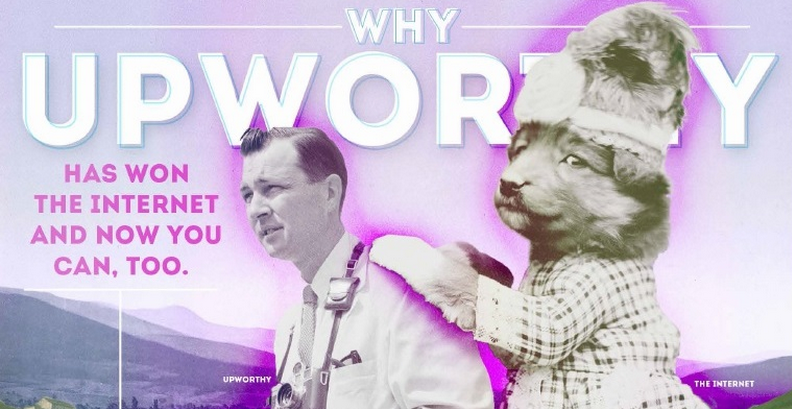 Check out this awesome infographic on how Upworthy has become so successful in such a short amount of time. The infographic lays out the thought process behind what constitutes an engaging, eye-catching, traffic-driving headline. The Author of this post – Justin Ware is the Director of Interactive Communication at BWF_social where he helps clients develop online and social media strategies. It’s that time of year! …when bloggers seize the opportunity to be lazy and write a post that is nothing more than a list of the first five items on the analytics report. 10 of the Best Higher Ed Online Giving Days – An overview of 10 of the most successful giving days in higher education with notes and descriptions for many of the events. ASU Raises more than $3 Million During 2-day Online Campaign – A more detailed look at one of those leading online giving days. How to Have a $1 Million+ Giving Day at Your School – Are you sensing a theme here? Yes, giving days are a big deal. Not just because of the new dollars and donors earned through the effort, but also because online giving days are very public celebrations of philanthropy for you institution. In fact, an argument could be made that there is no better communication tool for your development program than a giving day. Colgate Raises $5.1 Million in 24 Hours with Online (Radio) – The Colgate case might be the best example of what can happen when major gift donors are included in a giving day. 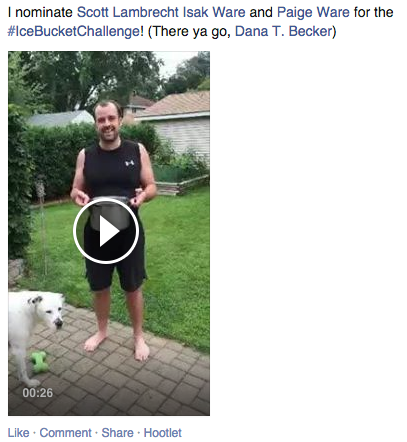 3 Thoughts on the Ice Bucket Challenge and Slacktivism – Hey, a non higher ed story! Which makes sense, because the Ice Bucket Challenge was probably the biggest story in all of fundraising during 2014. The success of 2014 in online fundraising has generated a TON of excitement here at BWF_social. It’s invigorating working in an industry where most of our clients and potential clients have barely scratched the surface on what is possible using digital to engage, cultivate, and steward donors at all levels. If you’ve not yet invested significantly in online development at your organization, great news – it’s a new year and you can still make up for lost time! So make 2015 the year where you transform your operation into a modern shop that enjoys immediate and significant success. And of course, don’t hesitate to reach out if you need a little help along the way. Justin Ware is the Director of Interactive Communication at BWF_social where he helps clients develop online and social media strategies that lead to real fundraising success. Imagine if you had one tool that could guarantee half your major gift prospects would make a gift? Direct response is key for donors at all levels. That notion was recently reinforced in this blog post that suggests you keep your biggest givers in the mass marketing program unless they specifically ask to be removed. But that doesn’t mean your major gift donors and prospects should be receiving the same email and print pieces your annual fund donors receive. Major gift donors deserve the resources necessary for highly targeted direct marketing based on how they support your organization and which components of your work matter most to them. First, know your audience. Create content profiles. A content profile is a donor file that is focused on what content the donor shares and interacts with online. It’s a record of the emails they responded to, the Facebook posts they liked, the blog posts they shared — anything that helps you understand what matters to them. As a development operation, you can either track this manually by recording data as you come across it, or work with any number of software programs, such as EverTrue, that capture and organize information from social networks such as Facebook and LinkedIn. But all the data doesn’t have to come from technology, either. Like most things, the best content profiles are combination of new tech and traditional development work. A content profile can also be informed by the gift officer’s knowledge based on their relationship with the donor. In the end, a content profile is just a richer set of attributes recorded in your donor database. Next, dedicate resources to creating beautiful content. 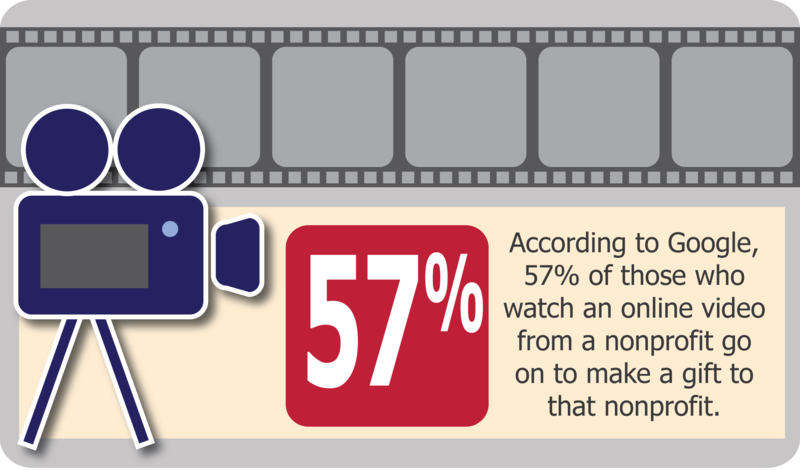 57 percent of people who watch a video eventually go on to make a gift to the nonprofit featured in that video (click here for more stats and the study). Let’s read that again: MORE THAN HALF OF THE PEOPLE WHO WATCH YOUR NONPROFIT’S VIDEO WILL MAKE A GIFT TO YOUR NONPROFIT. Based on that statistic from the very reputable Google, it might make sense that you drop all other expenses until you’ve adequately resourced a video content program. Especially for your major gift donors and prospects. Just imagine, what if you had one tool that would likely lead to half of them making a gift? Video appears to be that tool. Whether thanking, asking, or showing impact, great content is important at all levels of the fundraising game. But especially for your major gift program where one donor can change everything for your organization. Train your MGOs to use social media! For a major gift officer, not being active on at least LinkedIn and Twitter is no longer excusable. From Bill Gates, to Elon Musk, to your average millionaire down the street, the more money a person has, the more likely it is they are active on social media. And that trend is only gaining steam. If you’re a major gift officer, ignoring social media is like ignoring the telephone …maybe worse. It seems that just about every new year in the past half decade has ushered in a new trend in online fundraising. Ambassador programs, online giving days, crowdfunding …in 2015, let’s make it the year nonprofits started using digital communication — and specifically direct marketing through great, targeted content — to engage, cultivate, and steward major gift donors and prospects. Justin Ware is the Director of Interactive Communication at Bentz Whaley Flessner’s BWF_social practice where he helps clients build online and social media strategies for fundraising. Columbia’s Giving Days raised $6.8 million from 4,940 donors in 2012, $7.8 million from nearly 9,700 donors in 2013, and $11 million+ from 10,400 donors in 2014. 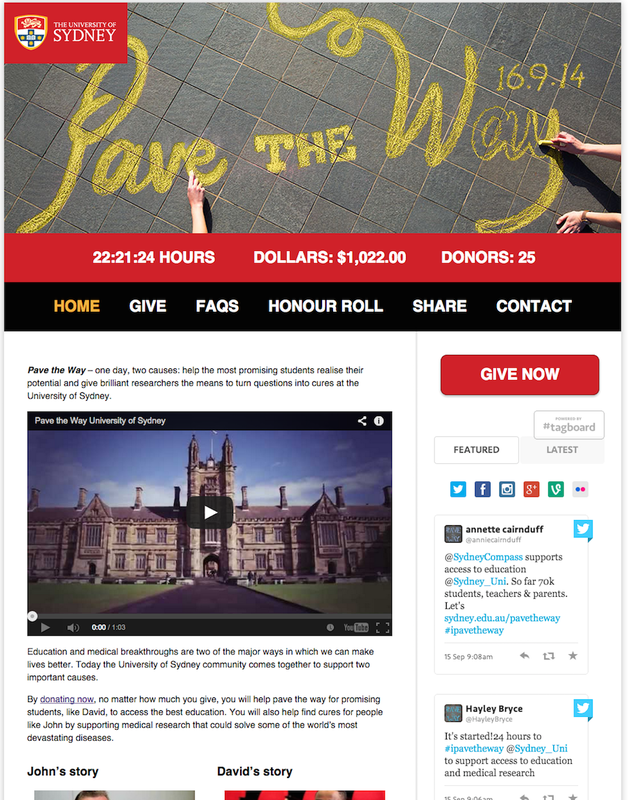 The University of Sydney’s September 2014 “Pave the Way” Campaign raised $932,000 from more than 1,000 donors. Santa Clara University’s April 2014 “Power of One Day” raised $795,000 from almost 3,000 donors. BWF_social recently concluded a survey of 45 higher education institutions. The respondents included schools of all size and scope—from public universities to liberal arts colleges. Much like the schools, the scale of the giving days varied, but the numbers are clear—giving days equal big fundraising for nearly every school that put resources toward the effort. To view a summary of the survey’s highlights, click on the infographic below. For the full results of the survey, click here. Wanna join the list of institutions that have conducted leading giving days? Click here to learn more about how BWF_social can help ensure a big online fundraising event for your school. Well, they did it again. Columbia University just wrapped up their third annual online giving day. And once again, it looks to be a record breaker, bringing in more than $11 million from more than 10,000 gifts. A smart, well-communicated online and social media content marketing strategy. Major donor involvement for challenge and matching gifts. Do all of those things well, and you will reach your goals. That’s been true of every single BWF_social client we’ve helped plan an online giving day. Cut corners on any on the above and you go from planning for success to banking on luck. As our soon-to-be-released survey tells us, most of you are planning on conducting a giving day in 2015. And you want to make a serious investment in your giving day, because giving days are about more than the sudden and often massive influx of dollars and donors they add to your organization. 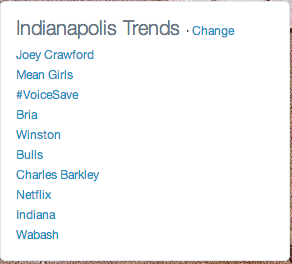 Thanks to all the digital buzz around their giving day, Wabash College was trending on Twitter during their event. First of all, online campaigns are tremendously social, well-publicized events. 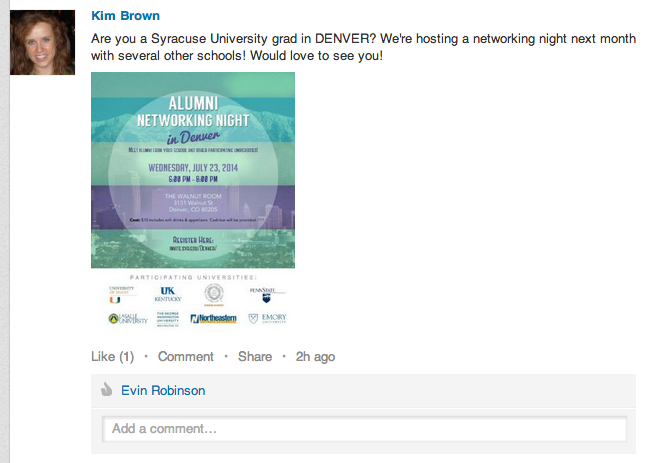 They often lead to higher rates of engagement than traditional, on-campus alumni reunions. But you don’t have to take my word for it. Listen to Wabash College’s Joe Klen talk about his school’s amazing online giving day/buzz building event by clicking here. Second, major gift donors love online campaigns. They love to see the schools and organizations they support take innovative approaches to fundraising. They love telling their friends about the huge influx of dollars and donors. They love to be involved. That’s right – asking big donors to be involved by offering up large challenge and matching gifts is more stewardship than it is cultivation. And finally, major donors love seeing all the new donors online giving days accumulate (especially if they helped make it happnen through a challenge gift). Third, online giving days are the most effective donor acquisition tool available. A recent BWF_social study found that 40 percent of the donors who give during online ambassador-led giving days are new donors. And not just any new donors – multiple studies show us that online-acquired donors have more wealth, give bigger gifts, and give more over their lifetimes than donors acquired via direct mail. So if you’d like to acquire more major donors, online is your best bet. Knowing all of the above, if you’re not investing at last as much in your online and social media approach as you are direct mail, the phone program, or any other direct response or communication channel, you’re doing it wrong. The good news is, you have a chance to get it right, starting with your first well-resourced giving day in 2015. Justin Ware is Director of Interactive Communication at BWF_social where he helps clients plan six- and seven-figure online giving days. A few weeks back, I was fortunate to have the opportunity to record a podcast for Iris Creative. The subject? Using online ambassadors to bring about the viral spread of your organization’s message and fundraising asks. Why online ambassadors are so successful in driving campaigns to become viral. How can you create a dynamic online ambassador program for your organization? Tools you can use to gauge influence on social media and enhance it. How can you cater to multichannel donors? What types of content are people excited about sharing? How do you deliver content to your ambassadors in a way that makes it easy to share? What are the benefits of having a toolkit with prewritten social media posts and images that users can share on their networks? What are the consequences? Is it worth it to advertise on Facebook? Sound interesting? Click here to listen to the podcast in its entirety. Justin Ware is the Director of Interactive Communication at BWF_social where he helps clients build online ambassador programs that drive fundraising and communication results. A little while back, I blogged about the importance of meshing your social media content with pop culture and current events. As it turns out, that’s not just a communications strategy – it’s a technical approach to boosting your FNFO (Facebook Newsfeed optimization …patent pending on that acronym). Facebook now rewards posts with Newsfeed prominence when those posts include a trending topic. 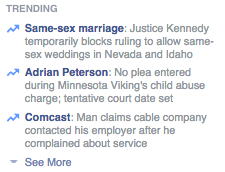 Trending topics are those topics listed on the right hand column of your Facebook profile. They’re often predictable and, for those organizations with a news savvy social media manager, are items you can leverage to help get more eyeballs on your content by mixing those topics into your content. Not just because people like seeing content that gels with the news of the day, but because Facebook’s algorithms are searching for content that connects with current events. Building current events into your content marketing will boost your FNFO (Facebook NewsFeed Optimization). Hire well. Whenever we’ve been involved in the hiring process for a social media manager, I always recommend placing former journalists’ resumes on the top of the pile. Journalists do everything you need a social media manager to do – they think quickly, produce massive amounts of content at rapid speeds, and they understand the news cycle and what an audience wants. With a former journo leading your social media charge, you’ve taken a big step towards establishing a timely and relevant content marketing strategy. Budget time to react nimbly to breaking news. Everyone should have a content calendar that extends at least 12 months out to cover the big events and campaigns. But sometimes, your audience (or, more accurately, the news cycle) doesn’t care about your calendar. You need to plan for the unexpeted and be ready to jump on the news of the day so that you can integrate it with your organization’s message when appropriate. Consider Facebook Ads. Let’s face it, Facebook wins – they’ve forced us to pay for exposure on their social network. Which, in the general history of how advertising works, makes perfect sense. For this and all your Facebook content, consider paying for Ads and promoted posts to get the greatest exposure. Justin Ware is the director of interactive communications at BWF_social where he helps clients build online and social media strategies for fundraising. Have higher household incomes than offline (mail, primarily) donors. Give more than twice as much over their lifetimes compared with donors acquired via mail. We know online fundraising is a strong tool for the annual fund. New donor acquisition, especially during ambasssador-led giving days, is staggering when the campaign is done right. But for all that online fundraising does for your annual fund, digital philanthropy is even more effective in your major gift program. Check out this guest post I recently wrote for EverTrue. In the piece, I provide recommendations for using online and social media to find, engage, and steward major gift donors. Short story short, don’t pigeonhole online and social media as a small gifts only tool. Just this past week, a single $143,000 gift came in during one of our higher ed client’s giving day. A well-run, well-resourced online strategy can do more for your major gift program than you ever thought possible. Justin Ware is the Vice President for Digital Fundraising Strategy at ScaleFunder. ScaleFunder provides innovative digital fundraising tools to help your organization reinvent fundraising 365 days a year. 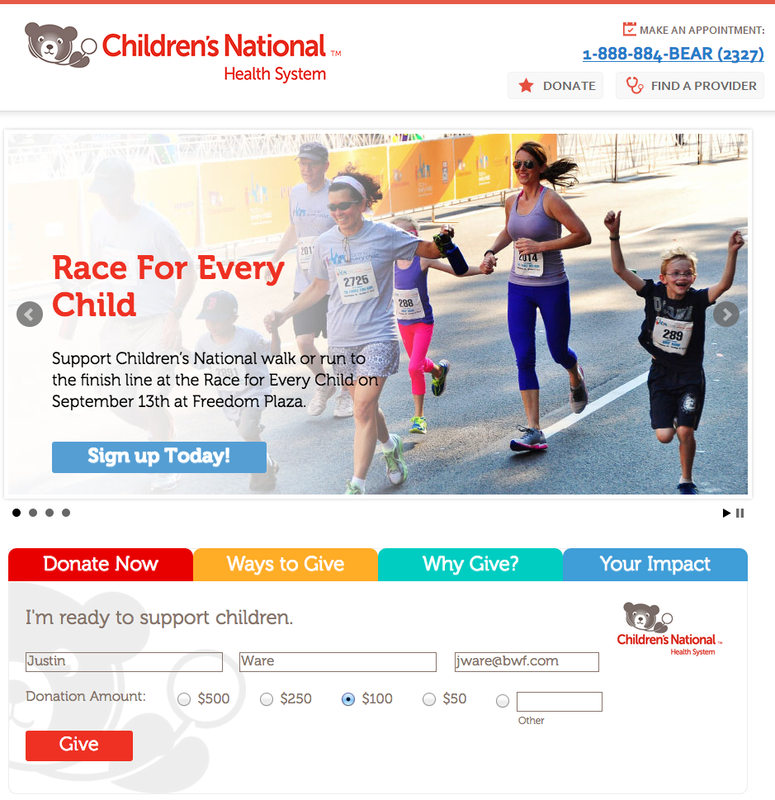 Children’s National Health System has created a user-friendly website that has led to more and larger online gifts. The Children’s National Health System website is one of the best I’ve seen. In any nonprofit vertical. The main homepage and Foundation homepage were redesigned last fall with a focus on simplicity and content. The design is clean and user-friendly, the content is fresh (thanks to being directly fed from institutional blogs), and the online giving form is flawless. Whether you’re in the healthcare, higher education, environmental, social services, arts, community foundation …really just about any type of nonprofit organization, this design and design process (more on that process in the video below) is one worth emulating. But it’s not just pretty. This online pageant queen would also win most spelling bees. The smart design behind the new Children’s National website has delivered results. Since making the shift from the older design in November 2013, the Children’s National Foundation has seen three times as many online gifts made and the average size of an online gift double to roughly $275 per gift. So you want to know how to design a website that triples your donor participation and doubles the size of gifts? Then check out the video below featuring Children’s National Foundation AVP for Communications, Mark Miller and Associate Director of Interactive Communications, Jon Thompson. Justin Ware is director of interactive communications at BWF_social where he helps clients build a digital presence that leads to real fundraising results. One of the many thousands willing to douse themselves in ice water for the ALS Association. You’ve probably seen it at least once in your Facebook News Feed – one of your friends dumping a bucket of water on themselves and asking that you either do the same OR make a gift to the ALS Association. It’s called the “Ice Bucket Challenge” and from a pure fundraising standpoint, it’s been wildly successful. The campaign kicked off in late July and has, so far, directly led to $2.3 million in fundraising. More over, from July 29 to August 12, the ALS Association says they’ve raised more than $4 million. During the same time last year, the Association raised $1.12 million. 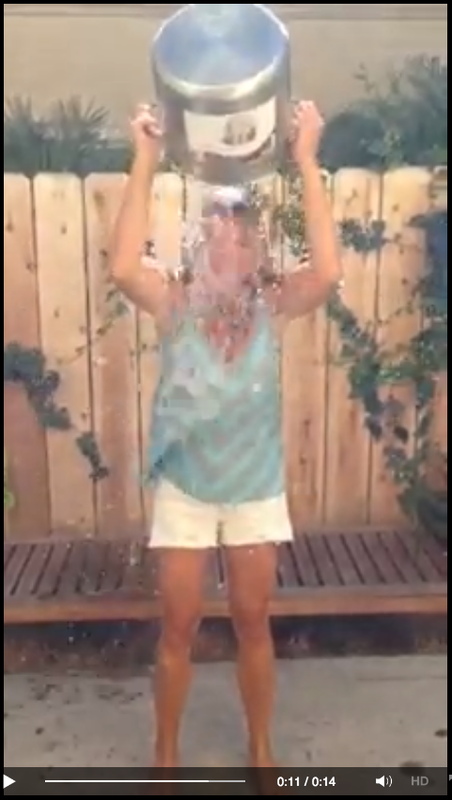 So, the #IceBucketChallenge is working both from the fundraising and awareness perspectives. But the campaign has its fair share of detractors who say the #IceBucketChallenge is classic “slacktivism” (though the initial numbers suggest that’s far from true). So is the effort worthwhile? Are the 70,000+ donors who participated (so far) going to become long-time supporters of the ALS Association? Or does the #IceBucketChallenge provide an easy out for supporters who would give financially but instead take a video of themselves and post it on Facebook (that’s slacktivism, in case you were wondering). Well, first off, it’s not really slacktivism if the effort leads to 7-figure fundraising hauls. Or, maybe it’s more accurate to say that slacktivism, if it leads to 7-figure fundraising hauls, is far from a bad thing. But the ALS Association still has the “problem” of retaining all these new donors. Deploy a strong, well-resourced content marketing strategy. These new donors gave to you because they saw a post online, right? Then focus your stewardship efforts on that channel. Invest in great video, photography, and infographics. Repeatedly show the impact of giving through mission-related stories posted online. Remind the new donors of how close you are to a cure and/or what it will take to reach that cure. Use digital content delievered via email, social networks, and online ambassadors (the so-called “slacktivists” in this case) to reinforce giving and prime donors for the next ask. Thank them profusely. Surprisingly, many organizations still drop the ball when it comes to effectively showing their gratitude for a donor’s gift. After the donor makes a gift, have two emails ready to go – one to thank current donors for their continued support and another to welcome new donors to your cause. In each case, detail the impact of their gift. For new donors, it’s about education and retention. Focus this effort on how their gift is changing the world and helping them understand the crux of your organization’s mission. For repeat donors, it’s an update on campaign progress, a call to action that asks them to share the news of their gift online and via social media, and something that highlights the impact of this specific gift. Don’t forget about mail! Especially for your new donors, send them a beautiful new donor package in the mail that thanks them for their support and tells the story of your organization. Then track both their response to mail and digital outreach. If they continue to engage online, but not via mail, think about moving more resources to your online programs to support your donors’ desired form of connectivity to your organization. But first, start with a good mail piece. From what this author knows about them, the ALS Association is a smart organization that is five steps ahead of the tips in this blog post. Which means the ALS Association is probably prepared to enjoy long relationships with their new donors from the #IceBucketChallenge. And your organization can enjoy the same retention success with online donors, if you follow their gifts with a multi-channel, content-driven engagement and stewardship strategy. Justin Ware is Director Interactive Communications at BWF_social where he helps clients build world-leading online fundraising programs. The Wabash College Day of Giving was a big win in donors and dollars AND in raising the culture of philanthropy to support the school. Online ambassadors lead to big fundraising results when their efforts are applied to short duration online giving events (a.k.a. “money bombs”). This was certainly true for Wabash College during the school’s inaugural “Day of Giving” online fundraising campaign, when 2,200 donors joined forces to raise $465,000 in just 24 hours. The thing is, those big numbers for little Wabash aren’t the main reason why school leaders are so excited about their first giving day. It’s all the attention and enthusiasm around fundraising that has Wabash officials celebrating well into the new fiscal year. Want to hear a lot more of the details from Joe Klen himself? We’ve included the full length interview on the BWF YouTube channel. You can link to the longer interview by clicking here. Justin Ware helps organizations and institutions build peer-to-peer fundraising programs that lead to real, quantifiable success. Last month, we wrote on tips to help fundraising professionals get in the game on LinkedIn. In that post, we suggested (implored) gift officers – or anyone with a donor facing role – establish a strong presence on LinkedIn. If LinkedIn is the bare minimum, there are other social networks that can open your fundraising work up to new and highly-capable-of-giving audiences. Facebook is the most popular social network in the world. According to a recent Pew study, a whopping 71 percent of Americans have a Facebook account. And while this social network is highly personal for some – for others, it’s yet another platform to share their lives with the world. In fact, millionaires are disproportionately more active on Facebook than the general public at large. Facebook friend lists allow you to organize your professional and personal friends. A benefit for you and them. Create lists to separate your personal connections from professional. (Click here for a link with instructions for creating lists of your friends) This will allow you to communicate with your professional friends while not driving your personal friends nuts. It will also keep silly pictures of your dog and kids from clogging your professional friends’ News Feeds. Connect your personal Facebook content strategy with your organization’s content strategy. (Your organization does have a content strategy, right?) Content marketing is best through a multi-channel approach. This means a great YouTube video gets the most traction when it is shared on Facebook, through email, on Twitter, at events, and through the personal social networks of your staff. Just as is the case with online ambassadors, sharing via the personal accounts of your staff greatly increases the reach of the powerful content you put so much effort into producing to tell your organization’s story. Be responsive and engaged. It should be obvious, but when people comment on or share something you post to Facebook, respond to them! Thank them, answer their questions, provide more information …use Facebook as a virtual coffee shop to meet your donors. Ask your Facebook friends questions. While images are hugely important for getting your content noticed on Facebook, sometimes the highest engagement comes from a question. It could be something fun – “Who is your favorite actor to play Batman?” for example. Or, you could ask something about your work – “Which childhood disease would you most want to see cured in the next 10 years?” Either way, a simple question that sparks conversation goes a long way toward building online relationships with your supporters, which ultimately leads to stronger relationships overall that leads to gifts. I know, I know …for some people Facebook is a deeply personal space that you absolutely wouldn’t want to share with the world. That’s more than fine. Unlike LinkedIn and to a lesser degree blogs and Twitter, Facebook – in part due to its highly personal nature – is far from mandatory. That doesn’t mean it’s not also an enormous opportunity for those willing to jump in professionally. Consider this – do you want a personal relationship with some of your organization’s biggest donors? If you answered yes, then you should consider using Facebook to engage them. Justin Ware is the Director of Interactive Communication at BWF_social and helps clients build online and social media strategies that lead to fundraising success. Would you rather keep your Facebook profile private? So would most people. How about Twitter …not your bag? No big deal! Not a fan of photography? (Yours or other people’s?) Then Instagram probably isn’t the place for you. But if you’re a gift officer, work in alumni relations, have contact with grateful patients, or have any other role in fundraising that involves connecting with donors, then you must have a personal LinkedIn profile. If not, you’re short changing your organization and missing out on significant and impactful connection opportunities with supporters. Seriously, it’s the equivalent of not having a telephone (and we all know telephones are still crucially important). A recent and professional profile picture. A succinct summary that speaks clearly about your role in your organization. An updated work history (at least the relevant stuff to your current role). Your volunteer work listed (especially that related to your org, because it will help prospective donors find you in their searches). Next, post information that matters to your community. It could be networking opportunities, fundraising events, big gift news …really, whatever matters to your donors. Help keep your supporters and donor community in the loop with timely LinkedIn updates. Use LinkedIn to find new donors and learn more about current donors. Where they work, if they just got promoted, what volunteer work they’ve completed, which additional social networks are they active on …all of this is information you can find on most people’s public LinkedIn profiles. It’s a treasure trove, it’s free, and it’s as simple as a Google search. Finally, use LinkedIn to connect with your supporters and donors. In a lot of cases, LinkedIn’s message system will connect you with a donor more effectively than the email address you have on file. Our donors are more segmented than ever before when it comes to the communication channels they use. For some, the phone is still king. For others, print matters most. For many, face to face interaction is the necessary ingredient to seal the deal. But online is now just as crucial as all those aforementioned channels (with the possible exception of face to face). Don’t believe me? Did you know that 74 percent of ALL consumers now use social media to make purchase decisions? (Klout, 2014 Study) How about that 71 percent of American adults are on Facebook? (Pew, 2014 study) Social media is too ubiquitous in our daily lives to be ignored and LinkedIn is the professional network where many people expect other accomplished professionals to be active. Don’t disappoint this segment of your supporters. Beef up your LinkedIn presence today. Justin Ware is the author of this post and Director of Interactive Communication at BWF_social. To learn more about Justin’s work, click here. In fundraising, the ultimate metric is donors acquired or retained and dollars raised. The question is, how do we get there? What steps do we need to take in order to secure that final conversion or gift from a donor? One option is sharing a bundle of statistics that numerically demonstrate the impact your organization has on the world. While that pie-chart packed annual report is important for the CFO types in the crowd, the vast majority of donors (including those CFO types) make a gift, not because of numbers, but because they feel moved to support your cause. Something about the work you do touches a nerve deep inside the donor to the point where they can’t stand the problem you’re addressing and will give everything they can, including money, to end that problem. In other words, if you want to expand support for your organization, you need to create content that makes people feel something. The sense of yearning to love your kid endlessly that comes with being a parent; the want to be a unique, cutting edge individual that Apple so deftly communicated while Jobs was at the helm; the drive to compete and win that shoemakers like Nike have conveyed; those aren’t appeals that require a calculator to ingest – they go straight to the heart and they make people do things a million times faster than any logic-based approach. Tugging at the heart strings opens the purse strings. It’s true in the consumer and nonprofit worlds. Having a smart, data-driven content marketing strategy. Dedicating or reallocating resources to produce amazing written, photographic, and (especially) video content. Hiring creative content producers to create posts that simply can’t be ignored. The third item is the most crucial and the most difficult to come by. Creative content geniuses are not easy to find, but if you have them, give them the resources they need. Allow them creative license to produce amazing, heart-wrenching, and awe-inspring content. Doing that (with a strategic vision in mind) is one of the quickest and most effective paths you can take to reaching that ultimate metric of more donors and dollars raised. Justin Ware is the Director of Interactive Communication at Bentz Whaley Flessner and an Emmy-winning content creator who has produced several viral YouTube videos. To learn more about how Justin can help you take content marketing to the next level, click here. In case you haven’t noticed, online giving days have become kind of a big deal in higher ed. The million dollar+ day is no longer the miracle campaign only the best and most prestigious schools can accomplish. Nope, seven-figure online campaigns are becoming common place. Assuming, of course, the organization planning the campaign knows what they’re doing. Good online infrastructure (campaign landing page and giving forms). A solid, established, and consistent online and social media strategy driven by good content. A coordinated online ambassador effort. Purpose: Scholarship support and regional alumni engagement. 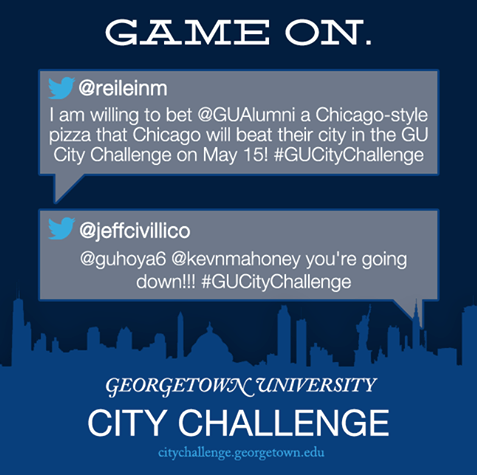 Gamification was the driving force behind Georgetown’s successful City Challenge campaigns. Purpose: Increase student giving and the overall culture of philanthropy in support of UMass Amherst. 626 students gave over the 36 hours. In the entire year prior, 529 students gave. For a blog post recap of UMassGives, click here. Major gift donors played a huge role in Washington and Lee’s Give Day’s success by giving $650,000 in challenge grants to drive participation. For a blog post recap of Give Day, click here. Purpose: Student engagement and annual giving. Purpose: Annual giving online campaign. Purpose: Donor engagement and annual giving. For a blog post recap of ASU’s campaign, click here. Purpose: Raise money for the school’s communication program. For a blog post recap of Colgate’s campaign, click here. Purpose: Online fundraising campaign for annual and major giving programs. For a blog post recap of Columbia’s 2012 campaign, click here. Are you ready to celebrate a successful online giving day? At BWF_social, we have experience building giving days and a consulting package to ensure success for your school. Learn more by clicking here. Seems like every week… shoot, almost every DAY now we’re hearing about another $1 million+ online fundraising campaign or giving day in higher education. From Arizona State to Boston University, these seven-figure giving days are becoming the norm rather than anomalies. But how, right? What is it these schools are doing differently or better than other institutions who are having mixed results? Like most successful giving days, Washington and Lee enjoyed significant participation success along with a big fundraising total. Significant lead or challenge gifts to encourage participation and boost overall giving. A strong strategy led by a interdepartmental team. We’d also add good, easy-to-use online infrastructure (in other words, a campaign page and giving form that more donors describe as “fun” rather than “maddening”) and a robust online ambassador program. Really, when you do that combined with the above items, it’s tough to fail. 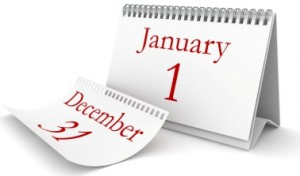 Are you ready to start the planning for your giving day in 2015? BWF_social has a package to help our higher education partners succeed with online giving days. To find out more, contact our Director of Interactive Communication, Justin Ware, by clicking here or here. Arizona State: $3.059 million in 36 hours … Columbia University: $7.8 million in 24 hours (after raising $6.8 million just one year earlier) … Santa Clara University: 2,600+ donors in 24 hours – by far their biggest day for donor participation ever. Thanks, in part, to a strong social media strategy, Santa Clara University saw record-breaking donor participation during their first ever “money bomb” online campaign. Well-designed, donor-centric online infrastructure (campaign landing pages, giving forms, mobile sites, etc). A long-term online and social media strategy (not just for the campaign, but throughout the year). Peer-to-peer or online ambassador programs. Are you ready to plan an online fundraising campaign for your institution? We have plenty of experience helping our clients achieve online fundraising success during these money bomb efforts. Click here for my BWF contact info or here for my LinkedIn to connect with me (Justin Ware) and learn more about how we might work together. 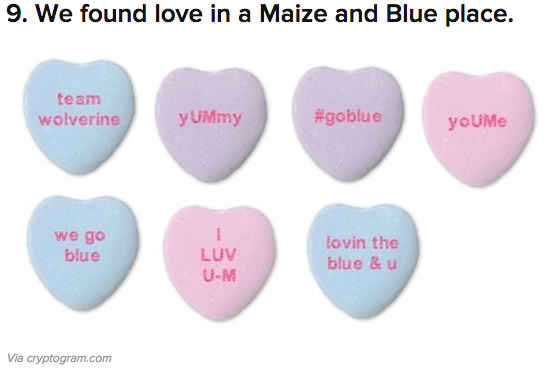 Michigan themed candy hearts drew new supporters toward Michigan’s $4 billion campaign during Valentine’s Day. Content, content, content… In some ways, it’s the simplest concept: produce lots of good content and you’ll have more supporters and more goodwill among those supporters (not to mention online hooks that catch new supporters). The thing is, creating good content – especially on a consistent basis – is anything but simple. You need at least one brilliantly creative mind, plus a firm grasp of what it is that your audience wants. In other words, good content is one part art form (the creative component) and one part science (the data that details your audiences’ preferences). Fortunately, there are some leaders in this space who are showing us the way. One of them is Shannon Riffe, the assistant director of marketing and online engagement at the University of Michigan. Justin Ware is the director of interactive communication at Bentz Whaley Flessner. Justin helps clients achieve results through content marketing. To learn more, connect with Justin by clicking here. When you’re selling shoes, the metric to prove social media ROI is relatively easy. 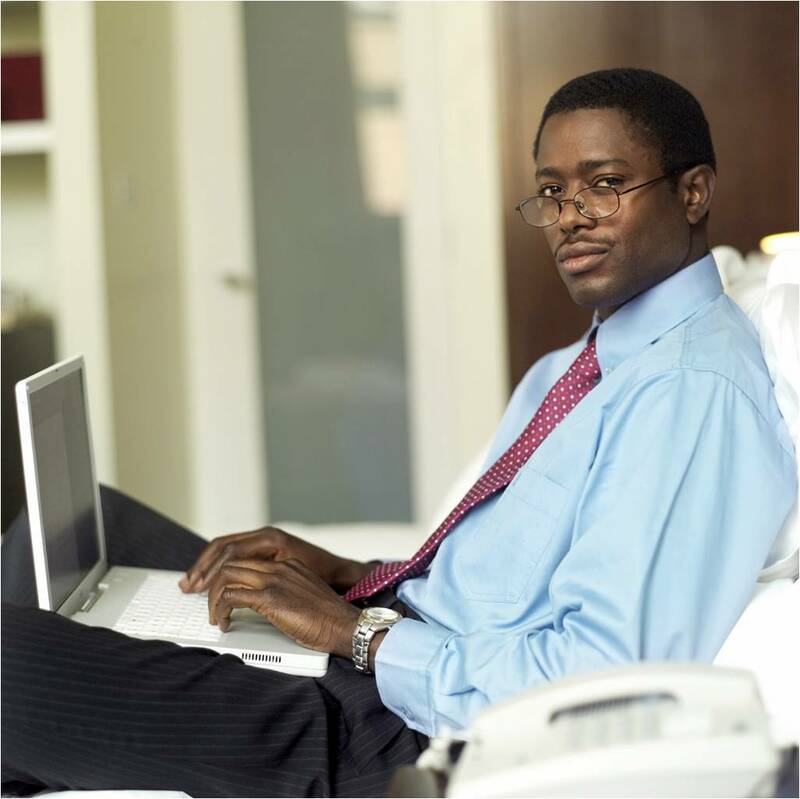 Ultimately, it boils down to …how many shoes you’ve sold. (A lot of quantifiable engagement metrics lead to that end result, but ultimately, shoe sales trump all else). 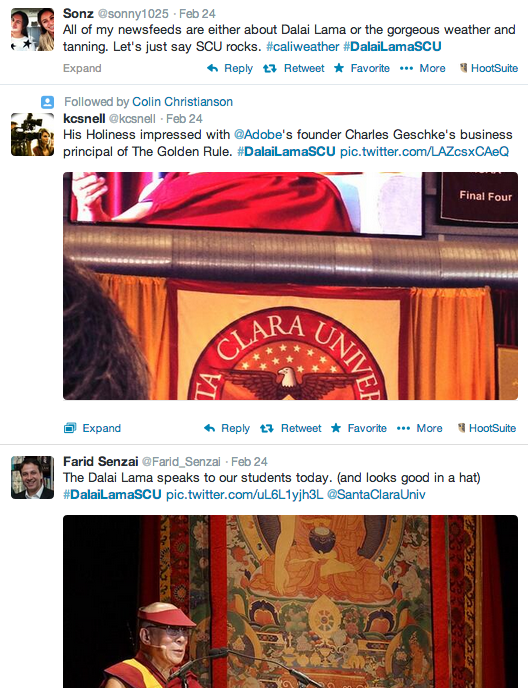 Using the #DalaiLamaSCU hashtag, Santa Clara’s social media team arranged an amazing online event around His Holiness’ visit to campus. For many of us working in the nonprofit world – higher education, in particular – there is no sale-of-shoes metric that easily tells us what’s working and what’s not. Sure, there’s fundraising, event attendance, number of applicants, and other quantifiable objectives, but there’s also the far less tangible goals of improving the reputation of and sentiment toward your institution. At a very high level, those are the goals Santa Clara University’s marketing and communication pros are chasing and – thanks, in part, to His Holiness, the Dalai Lama – SCU (a BWF client) has an excellent case study on how to prove the value of a strong social media strategy. “Santa Clara University is the Jesuit University in Silicon Valley and the theme of the talk ‘Business, Ethics and Compassion’ played into much of our key messaging,” said Marika Krause, Assistant Director of Media Relations at SCU. On February 24, the Dalai Lama spoke to about 5,000 people on the Santa Clara campus, providing SCU with a daunting challenge, but also a tremendous opportunity. Ultimately, SCU’s MarComm team is working to drive home the institution’s strategic priorities which include excellence in Jesuit education, the promotion of global understanding, justice, academic community, and engagement with Silicon Valley (where SCU is located). For nearly two years, Santa Clara’s communication pros have been building and implementing a strong social media strategy and presence. 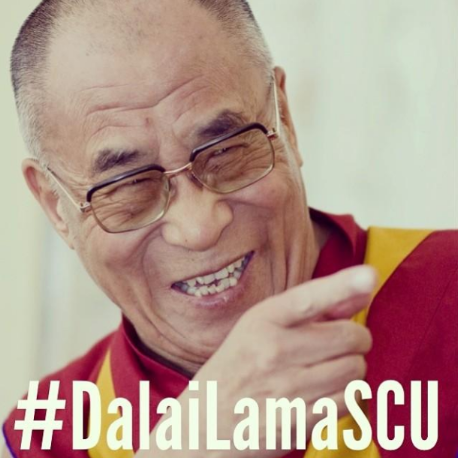 So when the Dalai Lama visit was announced for late winter, the SCU MarComm team knew they had an opportunity to make big things happen online. Bravo says, in addition to the strategic priorities, her team’s goals also include growing SCU’s online and social media communities. Then, using those communities to clearly communicate the message and priorities of the institution. “Facebook, Twitter, LinkedIn, Instagram, Pinterest, YouTube and BuzzFeed. We also used Storify to pull it all together after the event. The key to tying it all together was one unifying hashtag the we put on all the programs, press releases – even banners outside the event.” said Krause. SCU’s timely and consistent conversation management helped ensure mostly positive online discourse around the Dalai Lama’s visit. 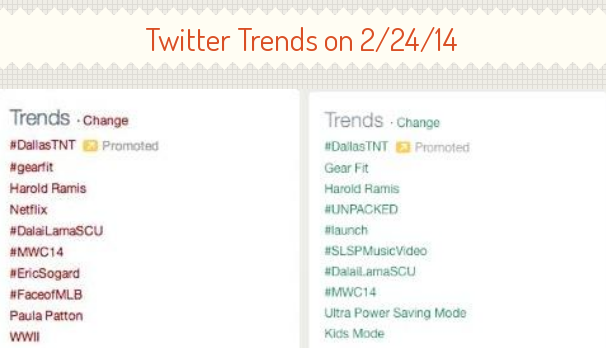 SCU’s efforts placed their event on the international stage via Twitter’s “trending topics” board. That’s right, the relatively tiny Santa Clara University was sharing space on Twitter’s nationally trending topics list with big hitters such as Netflix and the news of Hollywood comedic legend Harold Ramis’ passing. Again, a large contributing factor to SCU’s success, was the work put towards strategic planning since mid 2012. In the end, Santa Clara’s savviness with regards to managing internal and external forces, led to an amazingly well orchestrated event. And it wasn’t an accident. It’s the product of dedicating staff and resources to creating a sound social media strategy that’s ready for anything or, in this case, anyone. Justin Ware is the Director of Interactive Communication at Bentz Whaley Flessner. Justin has been working with Santa Clara University since fall 2012. To learn more about Justin and his work, click here. What is a social media strategy for fundraising? When I ask clients “do you have a social media strategy?” they will often point me to a list of guidelines for best practices on using social media. Make no mistake, establishing guidelines for your organization’s use of social media is smart …but it’s far from a strategy. A good social media strategy starts with a statement of goals, tactics, tools, and metrics. An online and social media strategy – a document that helps you effectively manage your presence and accomplish fundraising goals – consists of two parts. First, on online and social media strategy should be a statement of goals, tactics for accomplishing those goals, resources that will be deployed, and a system for measuring the effectiveness of all that online activity. Second, should be a timeline that extends out over at least the next 12 months. On this timeline should be all the major events, milestones, campaigns, and other opportunities for fundraising and/or donor engagement. For each event/opportunity on this timeline, there should be a detailed set of tactics that will be deployed for accomplishing the associated goals. And because it’s a timeline, there will likely be items several months in advance that are imperative to the success of each event or opportunity. This second portion of the strategy is key to ensuring nothing falls through the cracks. The two components of your strategy should work together. For example, the first portion (the goals/tactics/resources/metrics piece) should be applied to the timeline to help planners create a cohesive, on-message, and consistent approach for managing homecoming …or for the communication plan around a hospital gala …or the one-day fundraising effort for your small nonprofit around #GivingTuesday. Why does this matter? Think about your organization’s online activity. Is it a series of one off posts that have no interconnectivity? When you post something on Facebook or Twitter, are you thinking about how that post will impact your audience’s sense of philanthropy around a specific initiative, say a scholarship drive? If you’re planning an online fundraising campaign in support of scholarships in five months, you should be posting content that (however subtly and cleverly) reinforces that audience’s understanding of the importance of supporting scholarship-related fundraising activity over the next five months (among other good content aimed at other strategic goals, of course). Unfortunately, too many content decisions are made based on “what’s happening right now?” or “what do we need to immediately accomplish?” or “what’s hot in the news?” Not to say those things don’t matter. In fact, a portion of your social media activity needs to be reactive to provide adequate customer service. The best content is audience-focused and timely. But that doesn’t mean strategic messaging can’t be baked into the content. Not to mention, advanced planning actually frees your staff up to be more reactive, because they’ve already completed some of the work needed to reach those long-term goals. To do the big things requires a long-term strategy that everyone on your team supports and understands. So what does this look like in real life? Check out the strategy produced and executed by Gretchen Edwards and team for Wake Forest’s Move-in Day in fall 2013. In April 2013, a smart strategy plotted out over a timeline led to huge donor acquisition numbers for UMass Amherst. Looking for a more fundraising-specific effort? See the inaugural UMassGives led by Sarah Sligo and team. When you plan in advance, produce a timeline, and have a strategy to guide it all, you’re positioning your organization for success. And with how important online communication has become for nonprofits, it’s imperative your organization or institution finds the resources to enact this strategic approach. Justin Ware is the Director Interactive Communication at Bentz Whaley Flessner. If you’d like to learn more about how Justin helps clients build strategies that lead to six- and seven-figure online fundraising success, click here. There’s nothing like the feeling after an intense fundraising campaign ends with all the goals met. And of course, it’s great when your organization blows past its goals. But how about when you beat your goals by more than 3,800 percent? 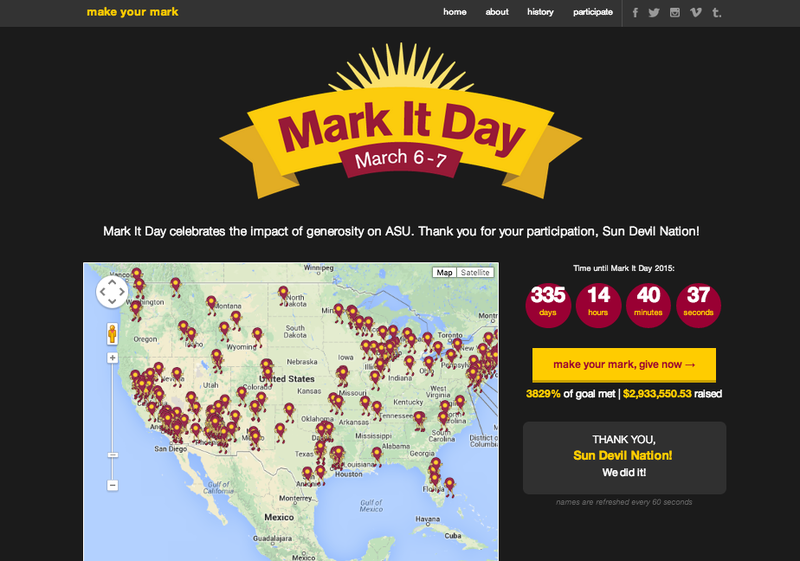 ASU’s Mark It Day started with an attractive, engaging campaign home page. The campaign page also had clever, interactive content to add to the notion of this campaign being a major event. Beyond the basics, Arizona State’s annual giving and interactive marketing teams got together to assemble a strategy built around smart, fun, engaging content. The very idea of the campaign is both cute and engaging. 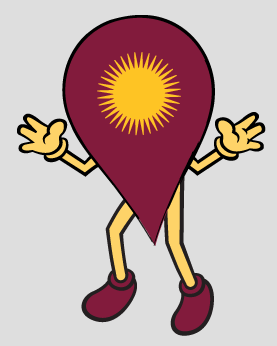 Markie – essentially a map pin mascot – encourages ASU alumni to mark their place on the map with a gift. It’s the type of campaign where donors contribute almost involuntarily, because taking part is so much fun thanks to the technology. Another key to ASU’s success were the efforts at bringing the entire campus community on board with the campaign. 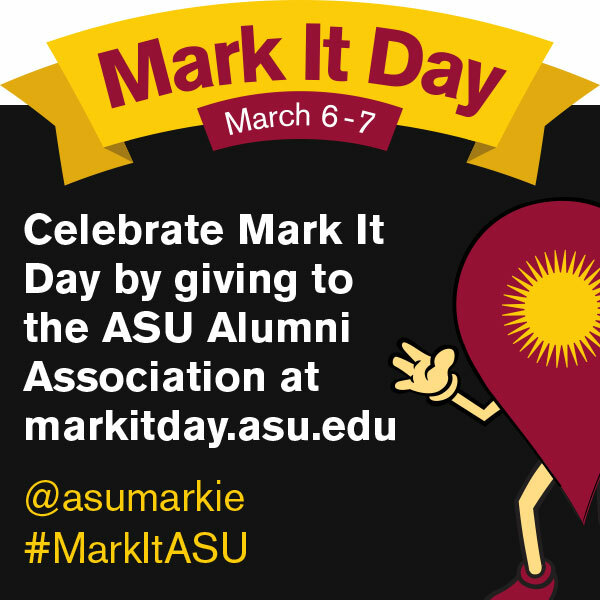 “Mark It Day 2014 had increased partner participation with colleges, programs, faculty, staff, and students all helping spread our message and encouraging people to support ASU,” said Stacy Holmstedt, Senior Director of Internet Marketing. Holmstedt and fellow campaign planner, Senior Director of Annual Giving Shad Hanselman, worked diligently to get their colleagues on board by providing them with the resources they needed to successfully contribute to the effort. 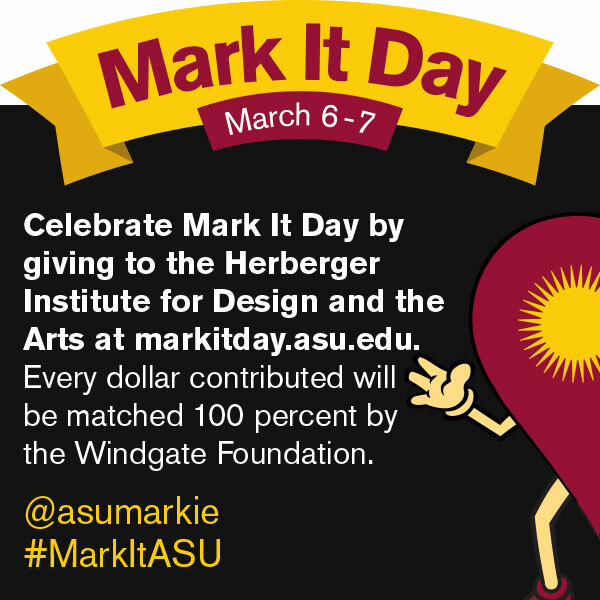 ASU also didn’t let the enthusiasm from the first Mark It Day in 2013 die after the campaign closed. Instead, they used Markie to keep the idea of philanthropy alive and thriving throughout the year. As for advice, Holmstedt and Hanselman say “start planning early” and learn what it is about your audience that will motivate them to give during the campaign. “Ours like seeing their names appear on a map in real-time; both the individual recognition and the instant gratification are motivational to our audience,” said Holmstedt. But perhaps most important, don’t go it alone. Justin Ware is the Director of Interactive Communication at Bentz Whaley Flessner where he helps clients produce six- and seven-figure online fundraising campaigns. To contact Justin, click here. In October 2012, Columbia University launched their inaugural Giving Day. 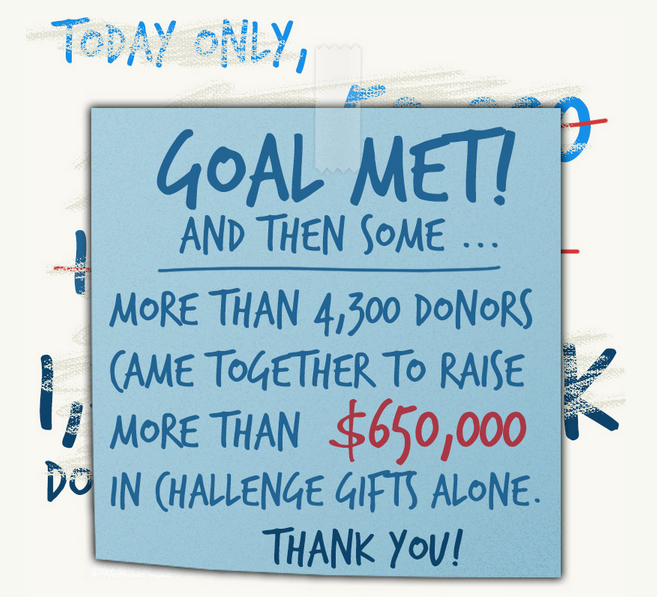 By all accounts, Giving Day 2012 was a monstrous success raising more than $6.8 million from 4,940 donors. How did so many thousands of donors decide to jump on board? Primarily, because those donors learned of the campaign via social media and made their gifts directly after seeing a post on social media. 55 percent of all referral traffic to Columbia’s online giving page during the campaign came via social media. In other words, social media led directly to a lot of giving activity during Columbia’s Giving Day. Yes, you can raise money using Facebook. It takes a smart strategy and it’s not free, but it can be enormously effective. Still not convinced? Think about the online ambassador programs that we at BWF have helped multiple clients build. During ambassador-led fundraising campaigns, on average, those institutions saw 40 percent of all giving come from new donors. 40 percent. That flurry of new donor activity happened because dozens, in some cases hundreds, of passionate supporters were sharing the message of the campaign with their friends via social media networks. Again, this peer-to-peer social media activity was a direct driver of fundraising activity. I get it – when someone says “you can’t raise money on social media” they’re referring to the approach of an organization or institution sending out bland fundraising asks via their official Facebook or Twitter accounts. It’s true that approach rarely works. The carpet-bombing-your-audience-with-posts-begging-for-money method is an unimaginative approach that applies old marketing principals (push messaging) to new channels (social media networks). But we know better than that now. We know how to strategically engage influential social media users and work with them to build wildly successful six- and seven-figure online fundraising campaigns. Doing the above is not free. It’s takes significant staff time and probably an investment in outside counsel and a tech vendor (Columbia had both). But when the investment is made, you absolutely can use social media to raise (a lot of) money. Bentz Whaley Flessner’s Justin Ware helps clients build online ambassador programs that lead to successful online fundraising campaigns. If you’d like to have online fundraising success, connect with Justin by clicking here.